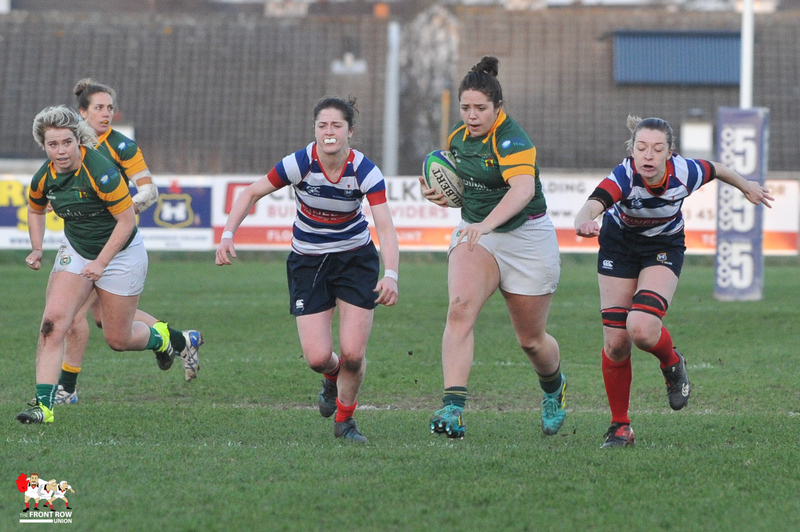 Saturday 23rd February 2019. 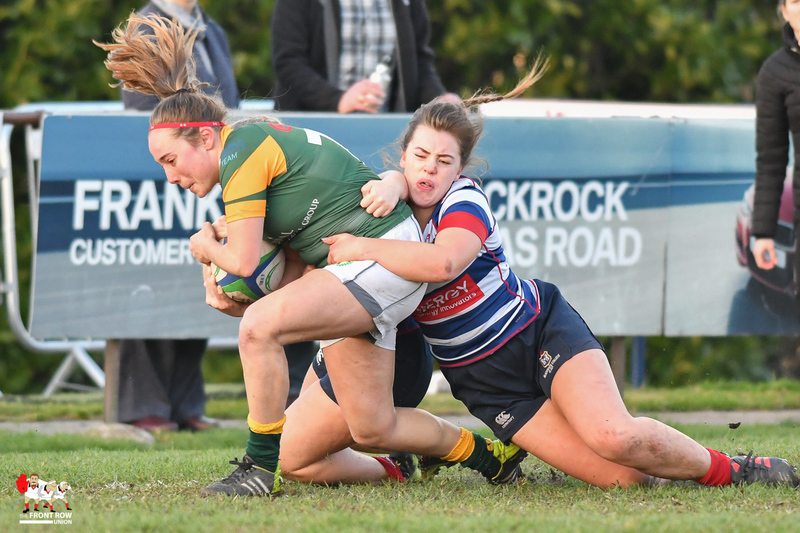 Railway Union bring Blackrock College's recent run to an end with a comprehensive 0 - 30 win at Stradbrook. 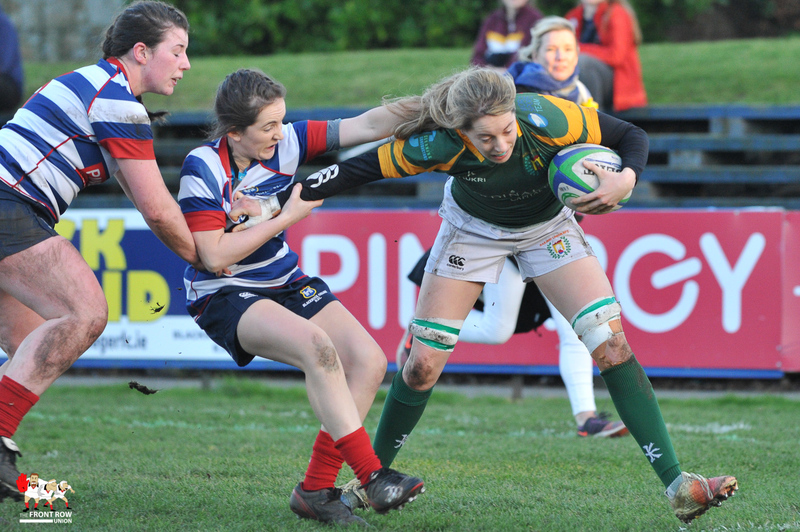 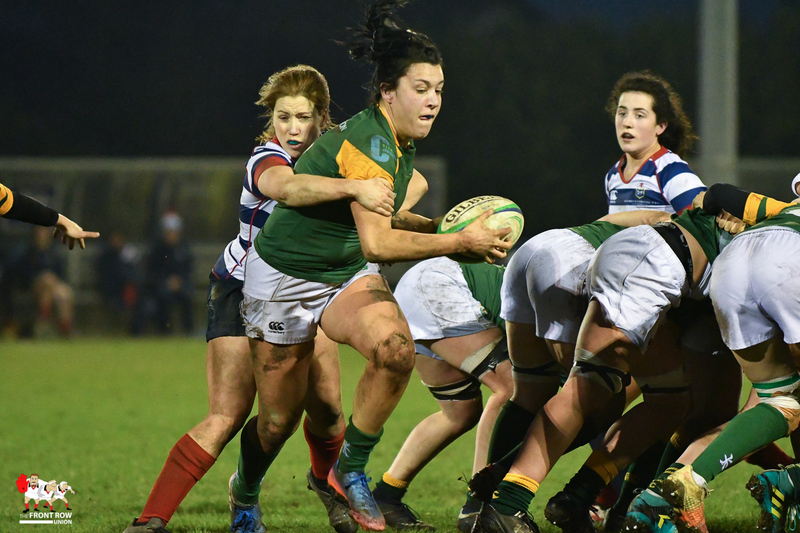 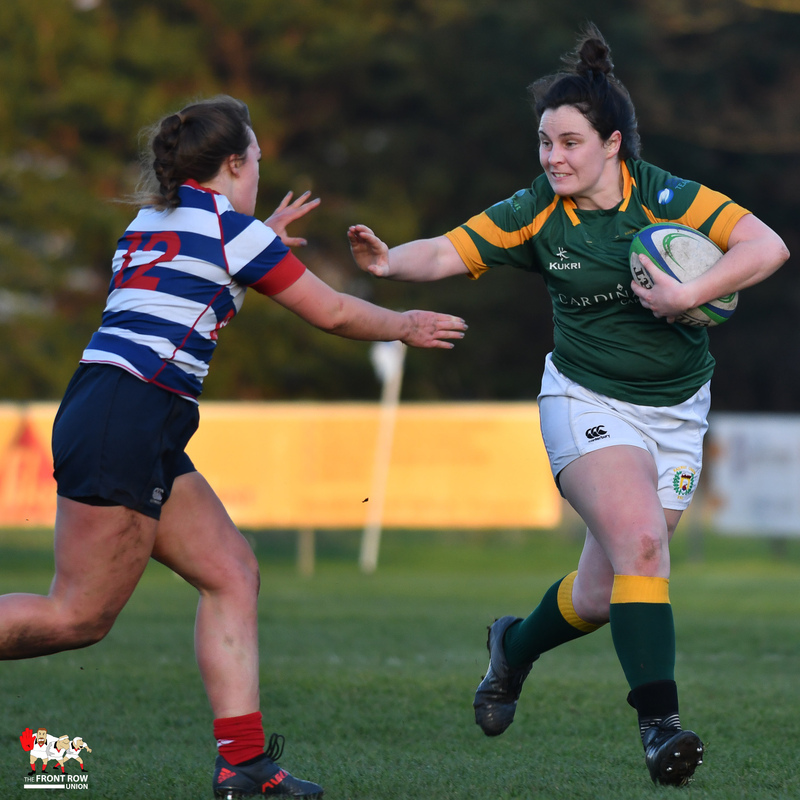 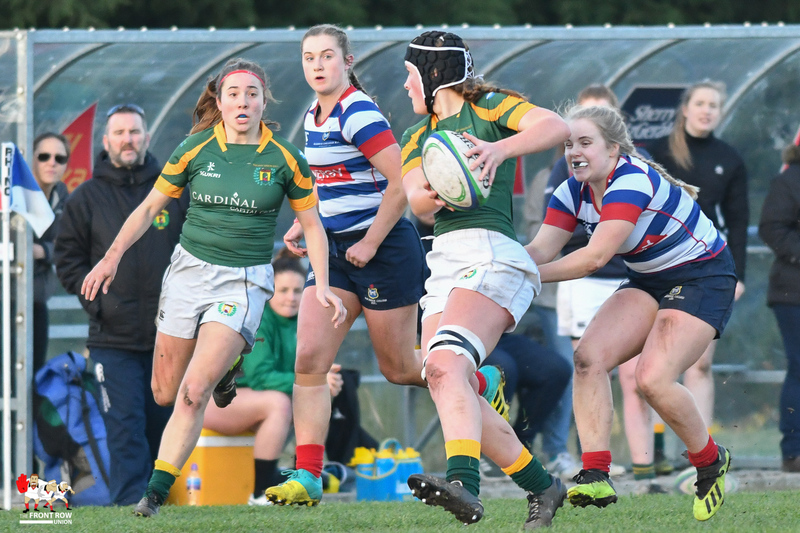 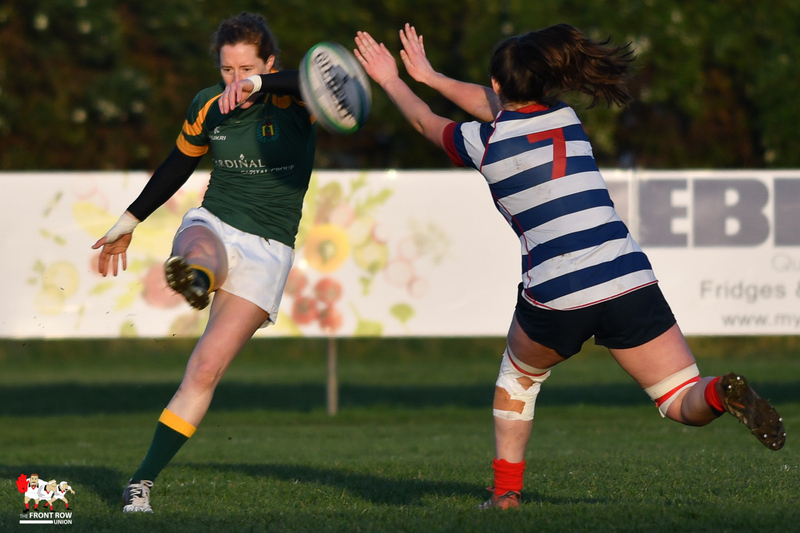 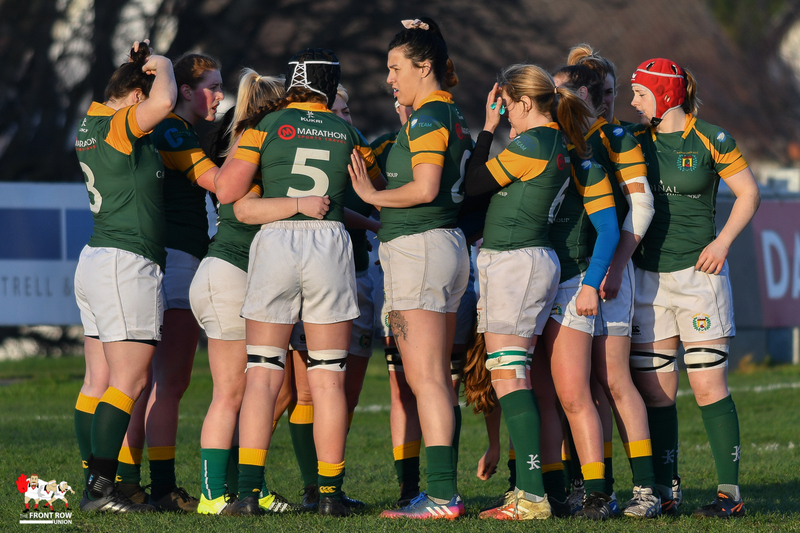 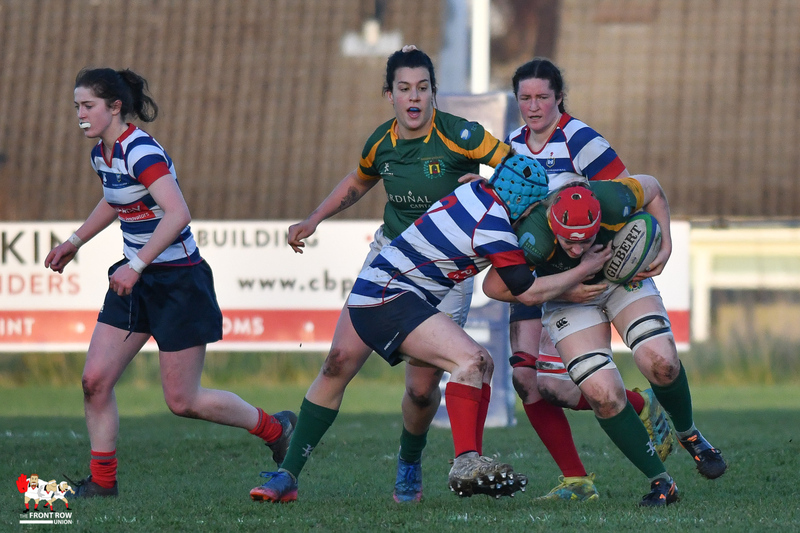 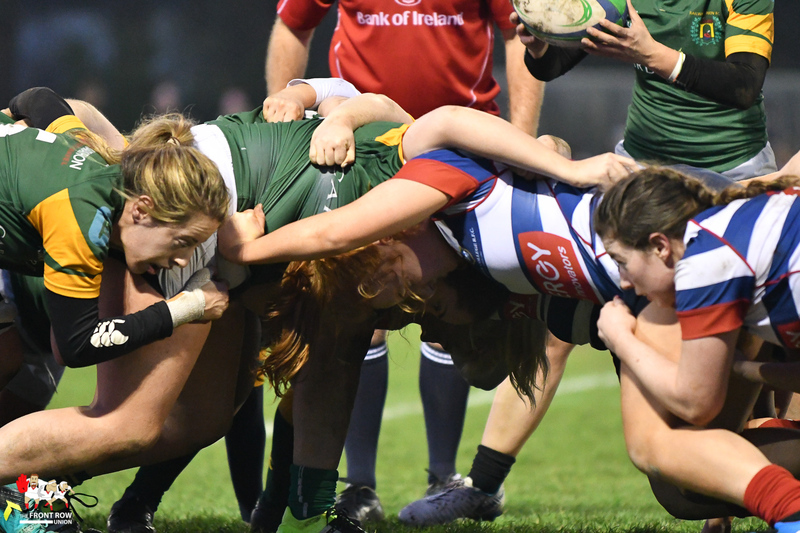 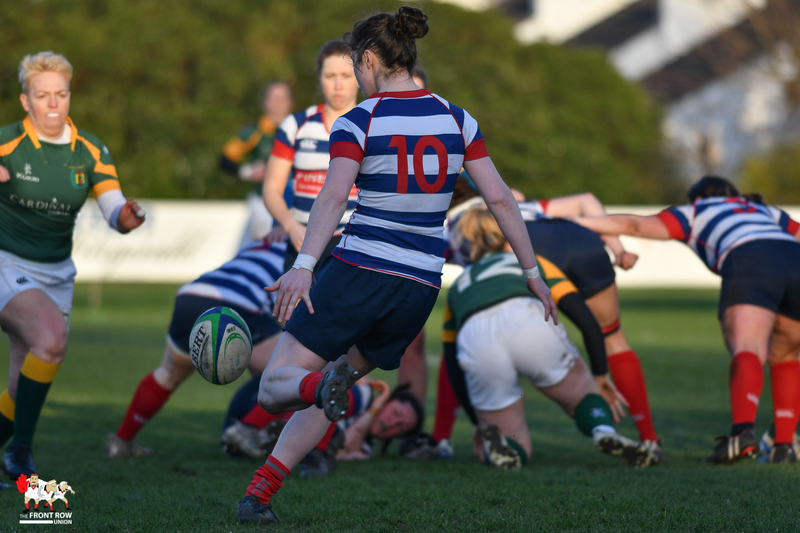 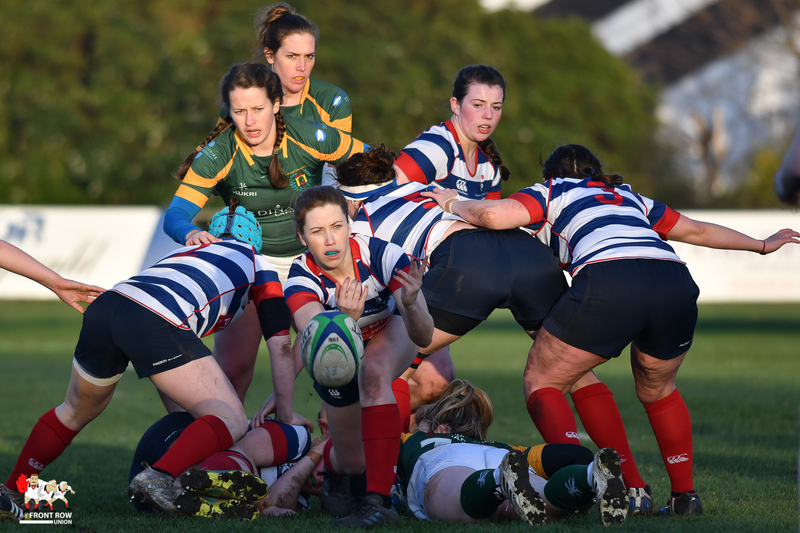 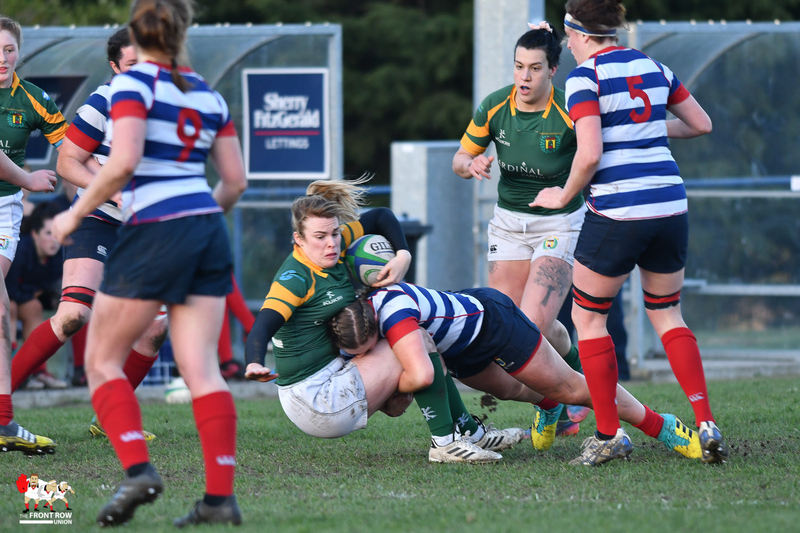 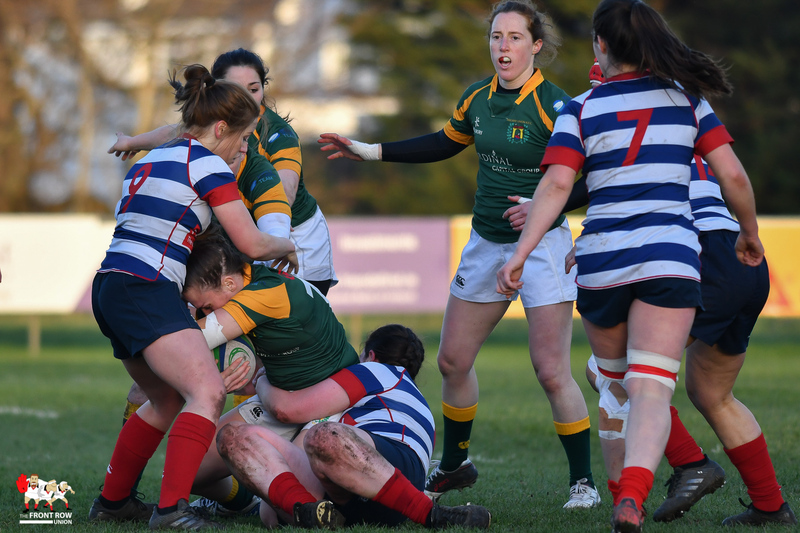 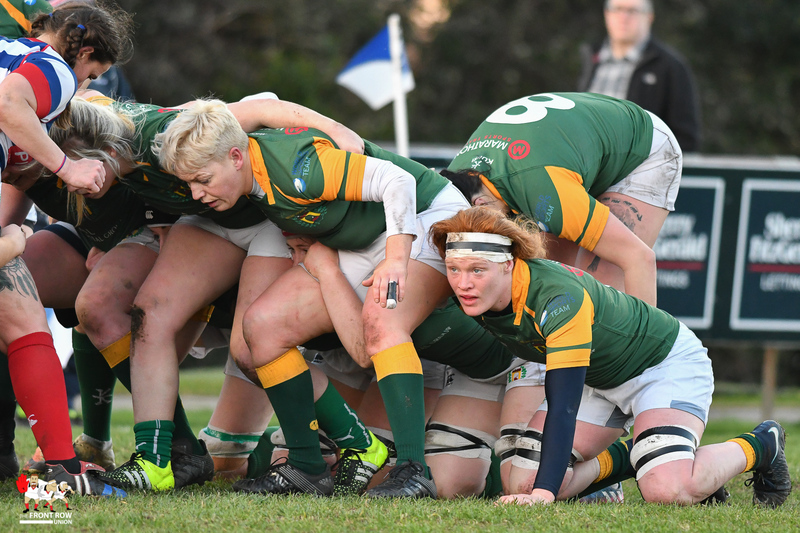 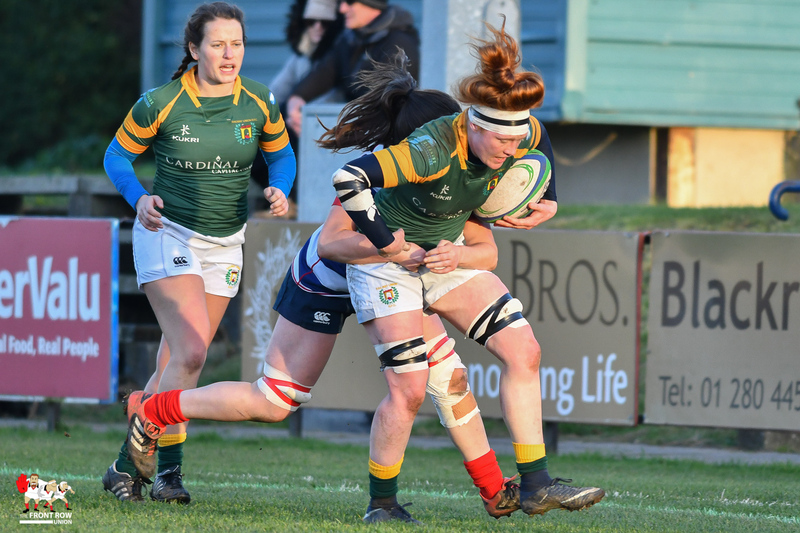 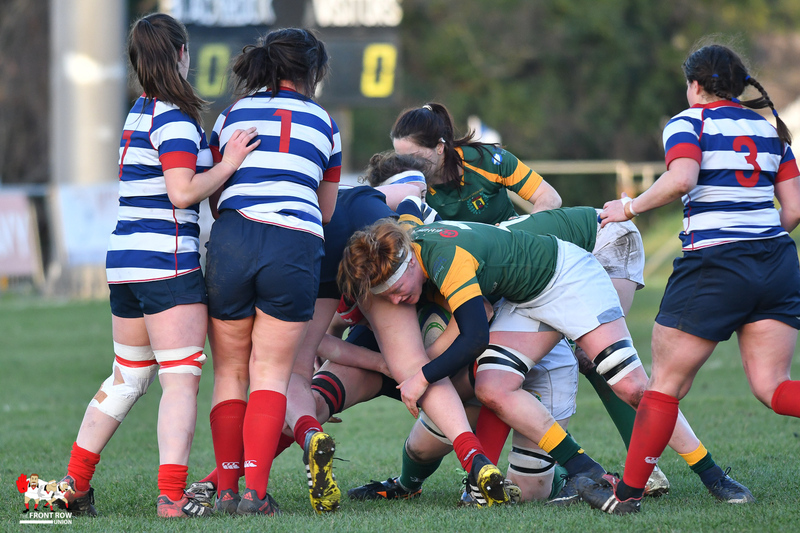 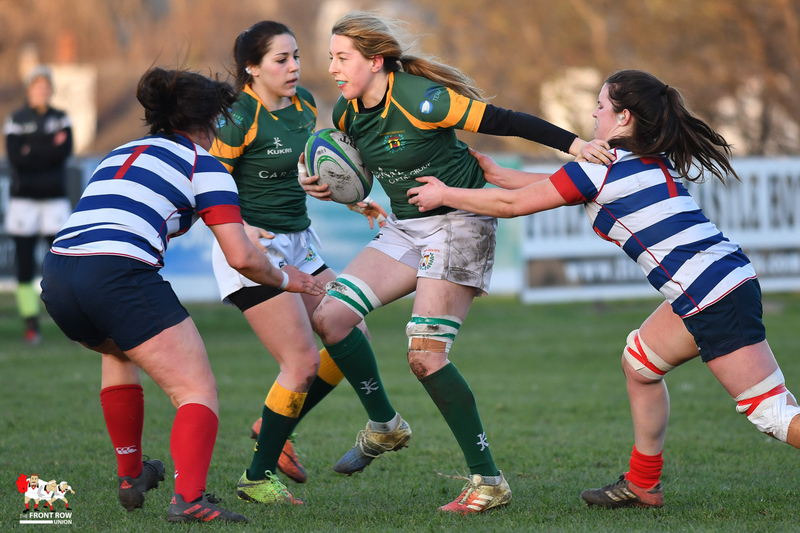 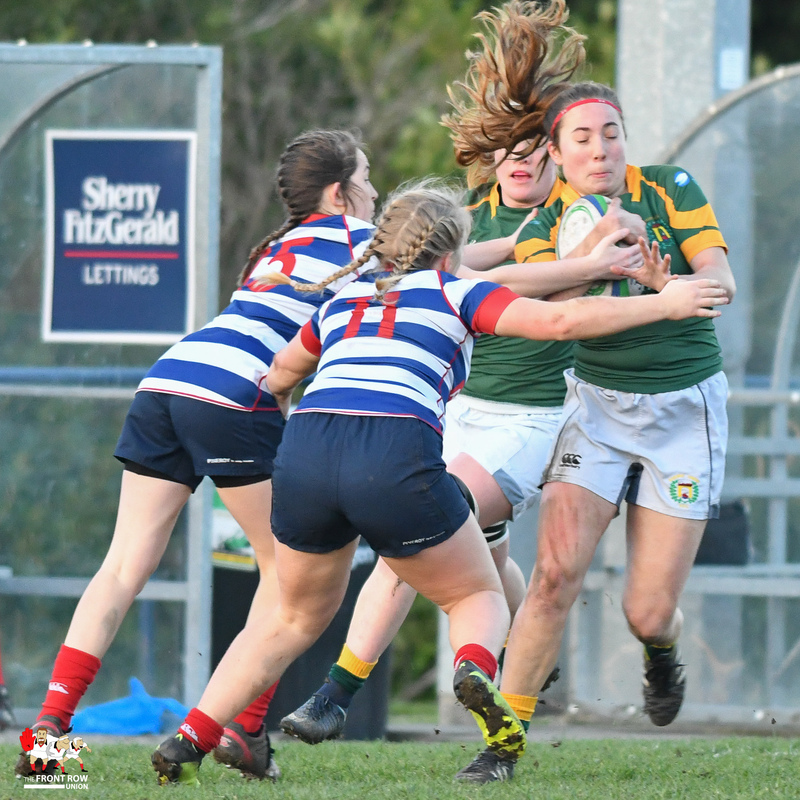 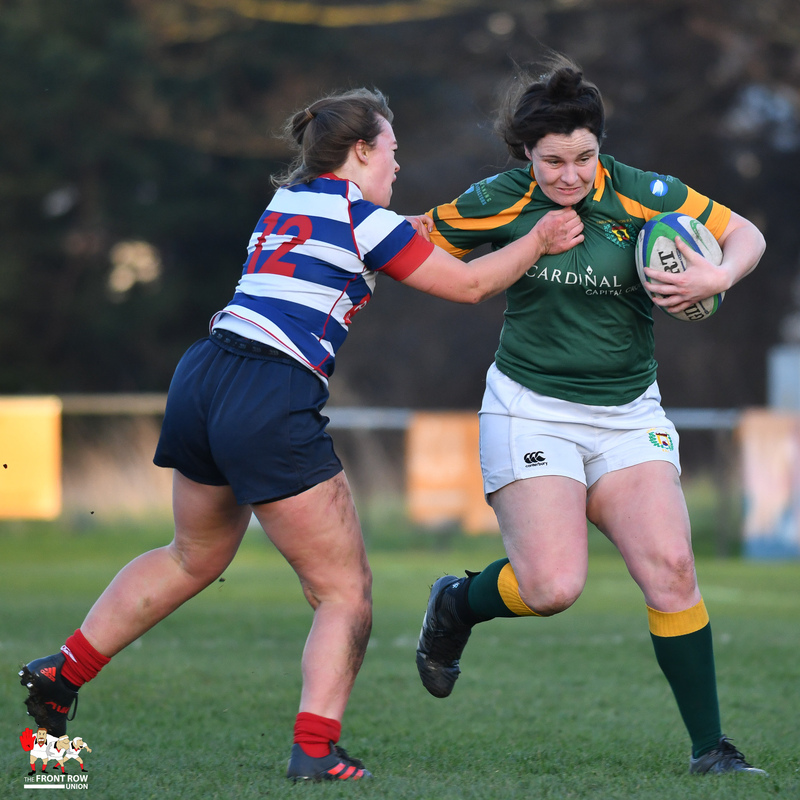 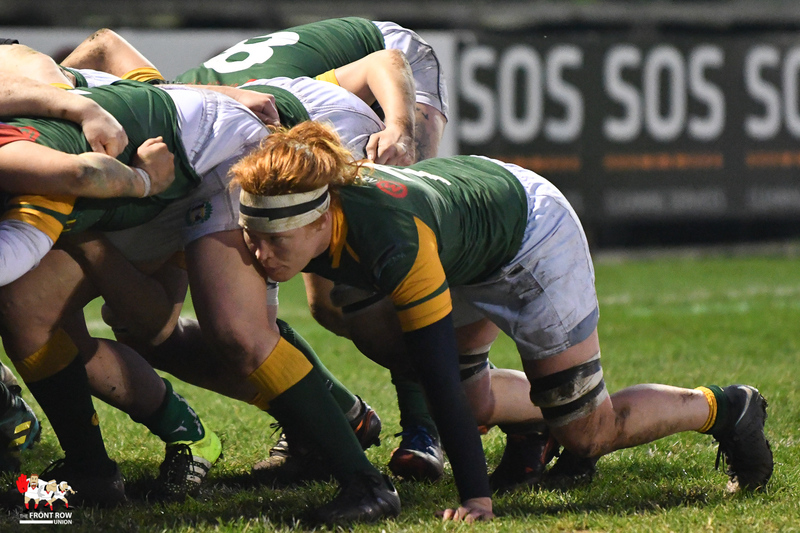 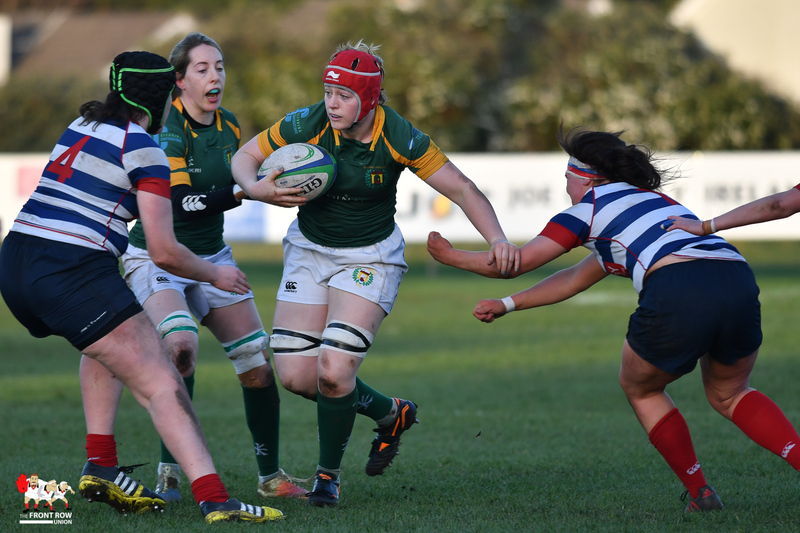 Round 12 of the Women’s AIL saw Railway Union make the short trip to Stradbrook Road to take on Blackrock on a beautiful sunny evening in south Dublin. 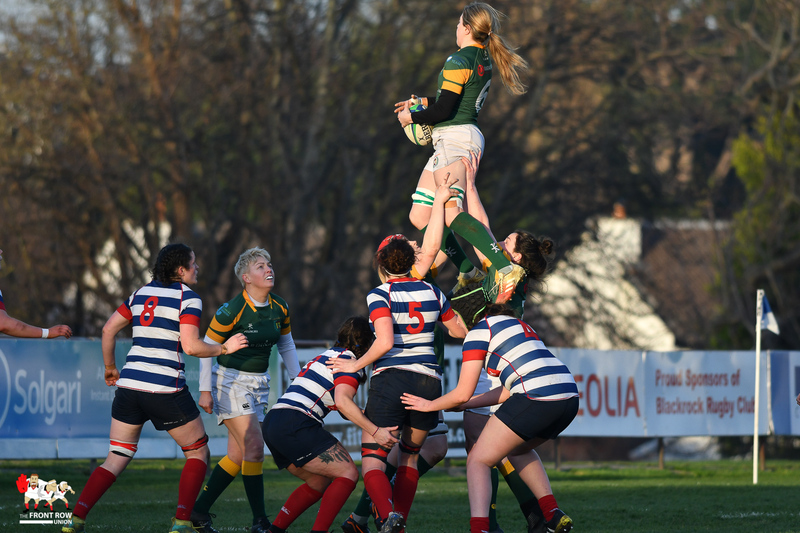 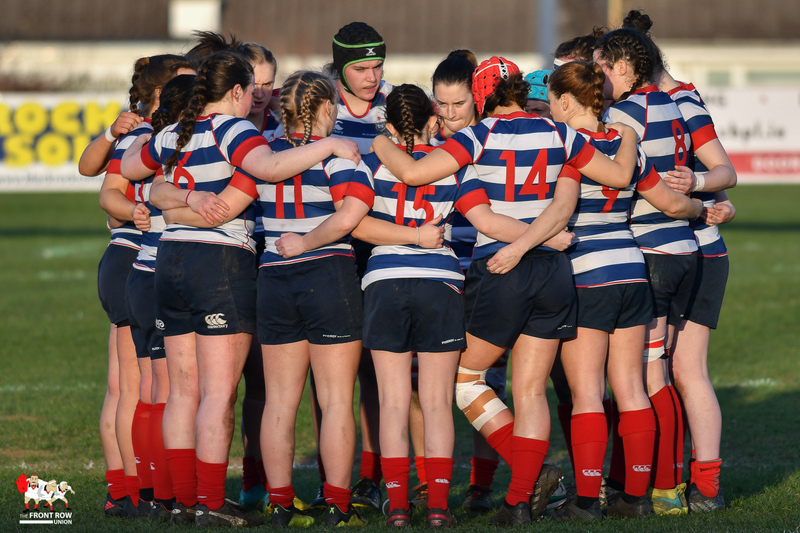 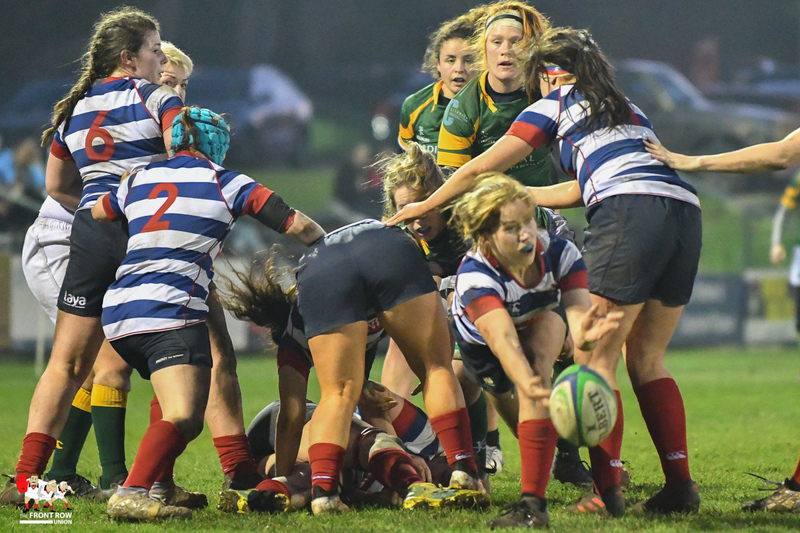 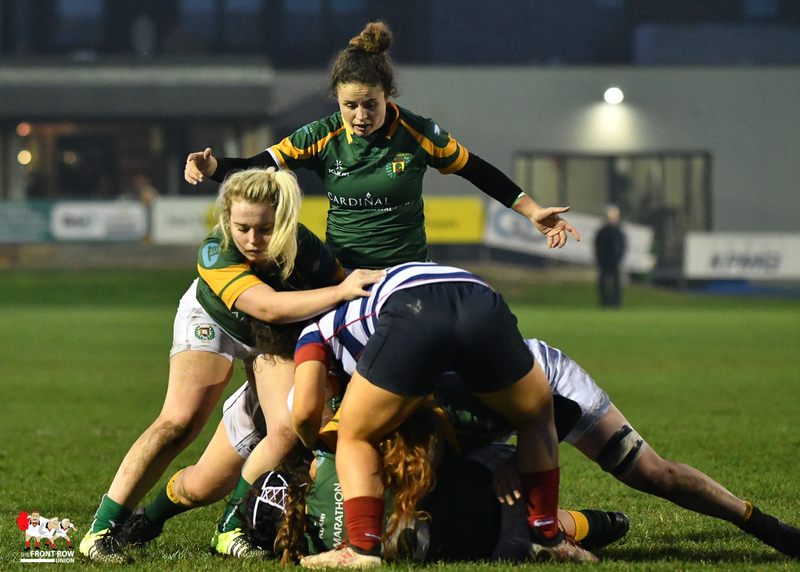 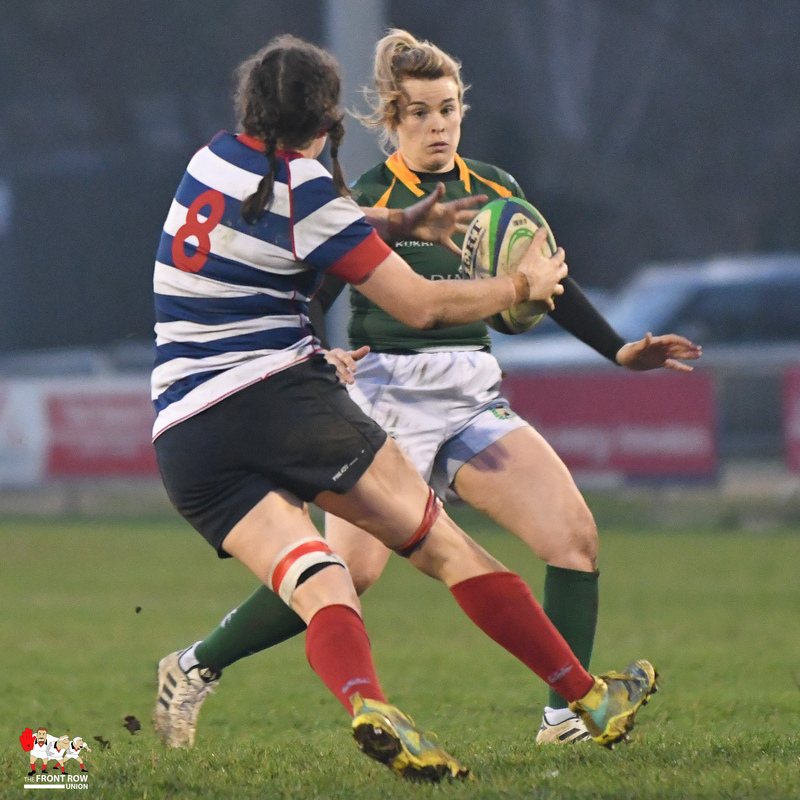 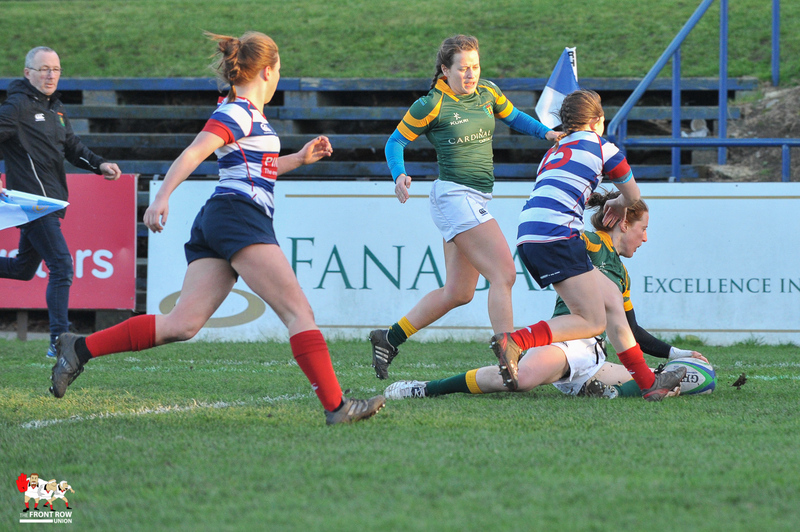 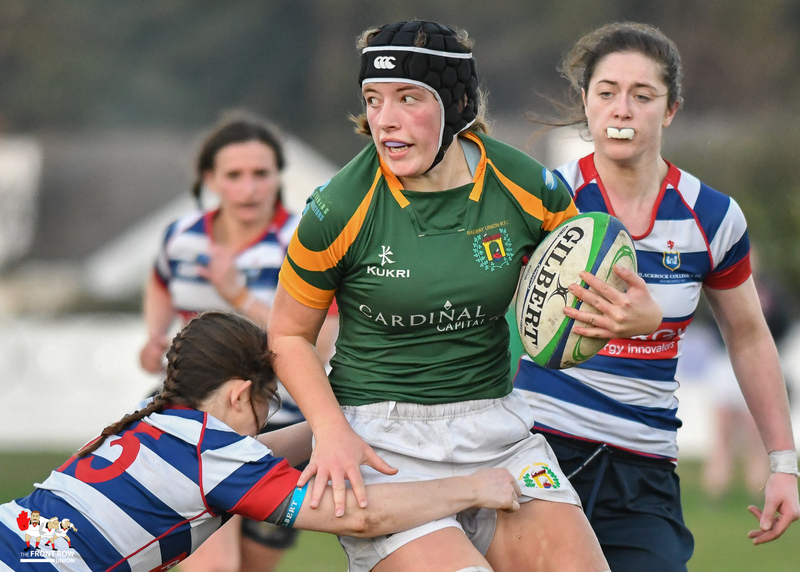 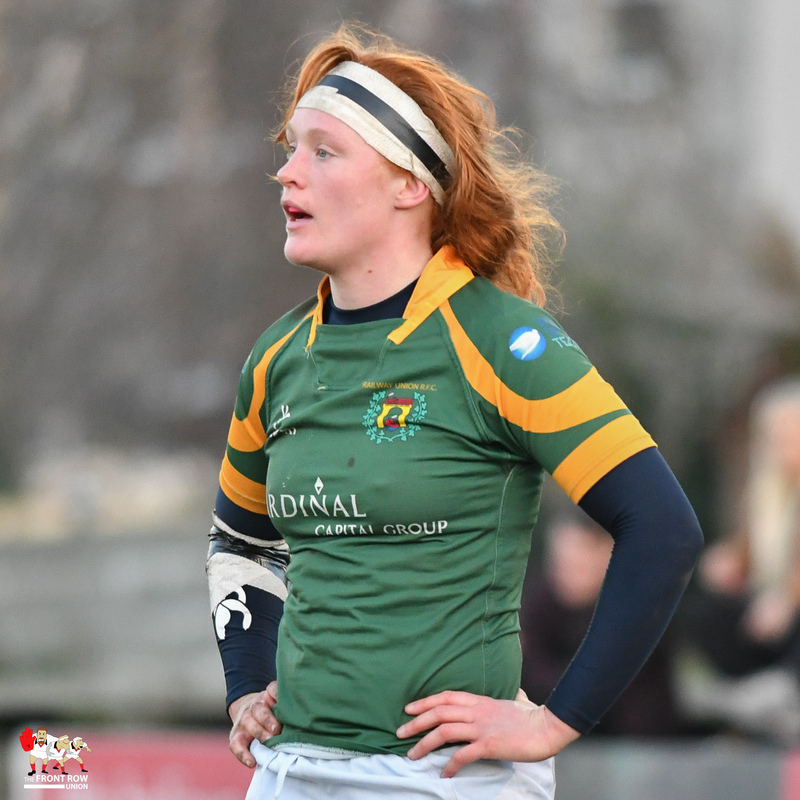 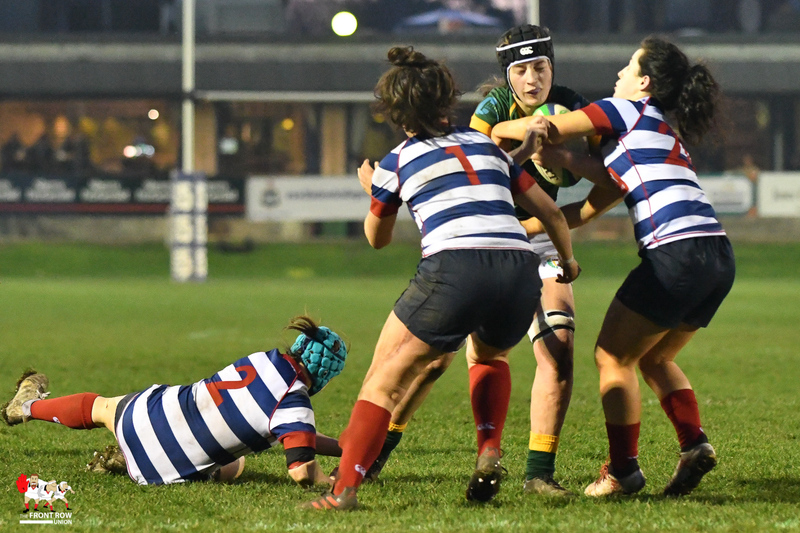 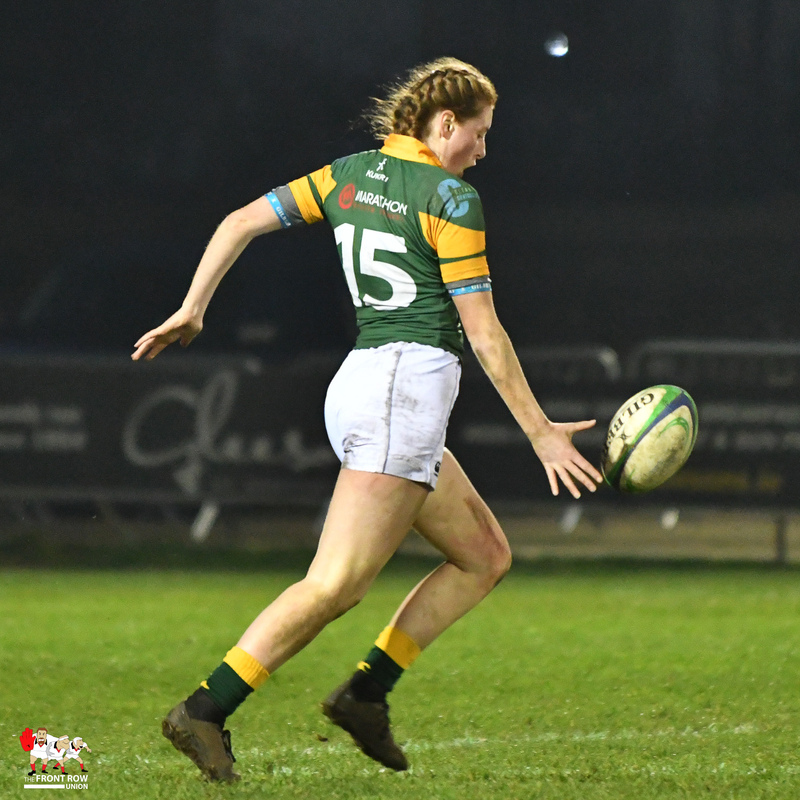 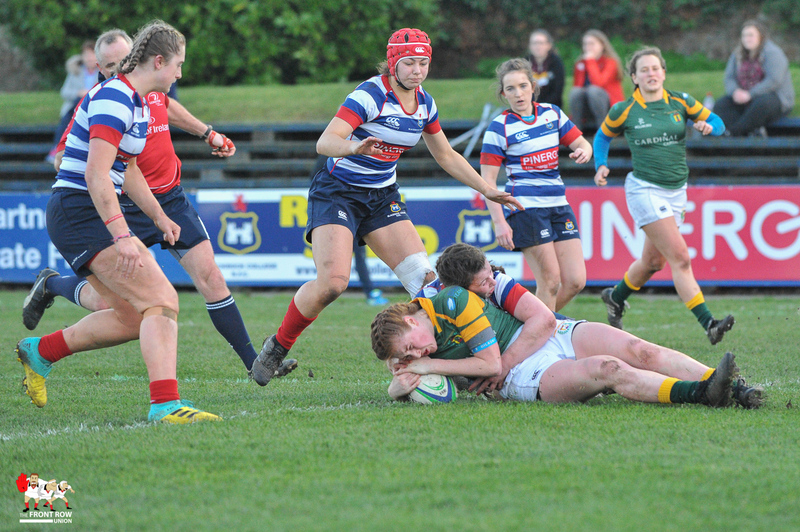 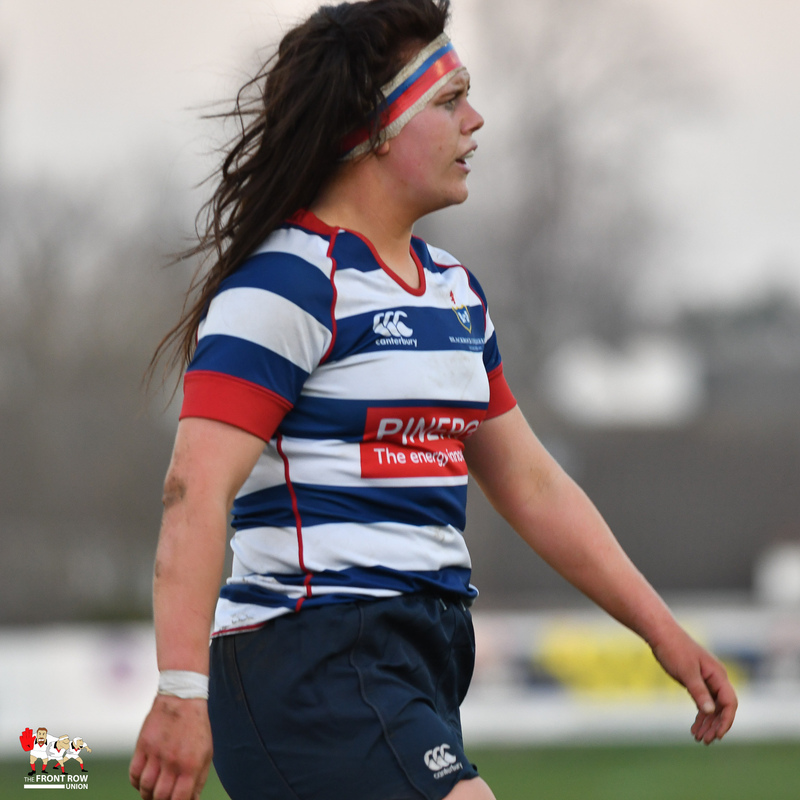 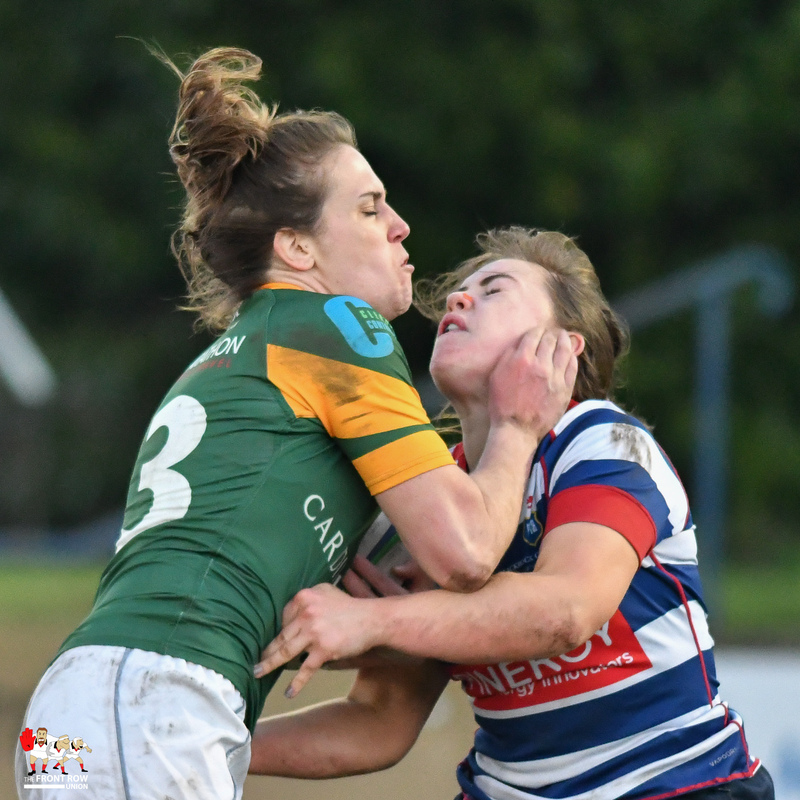 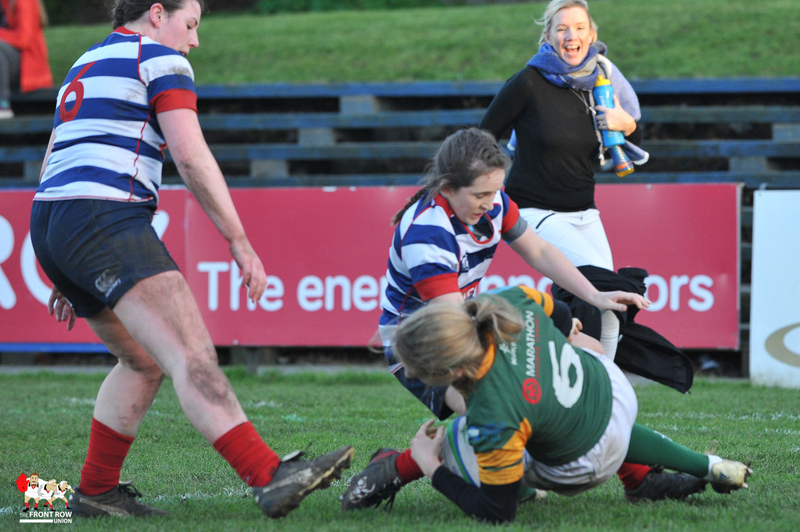 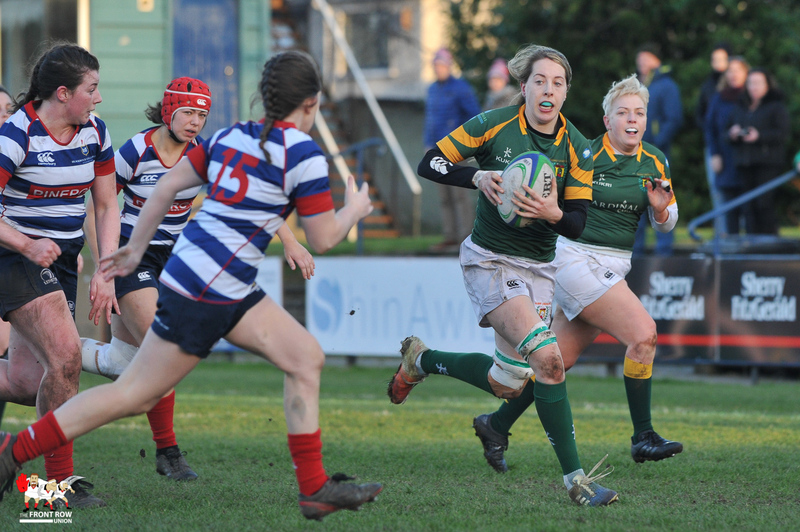 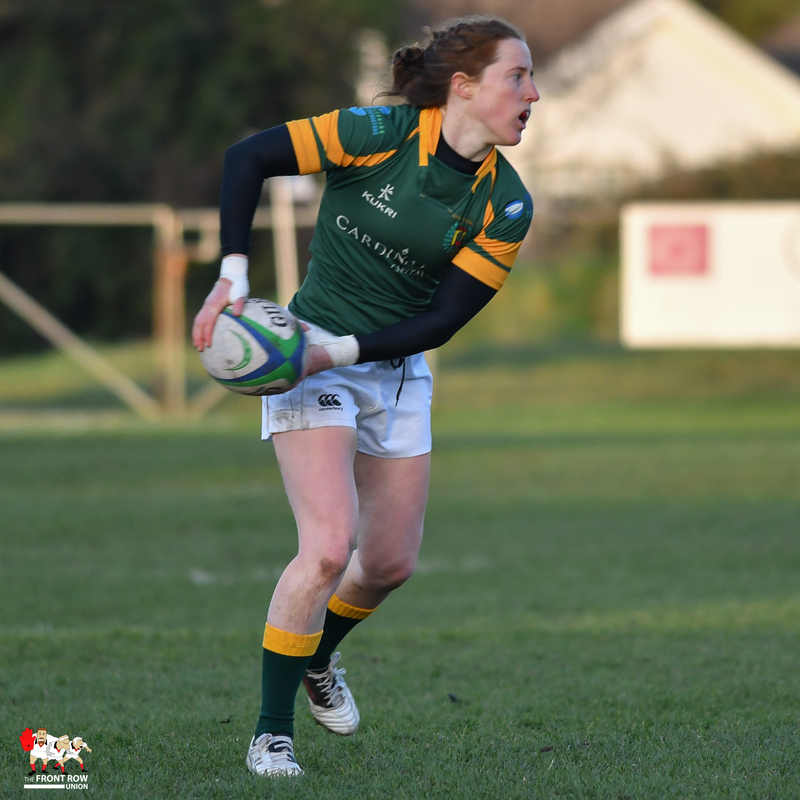 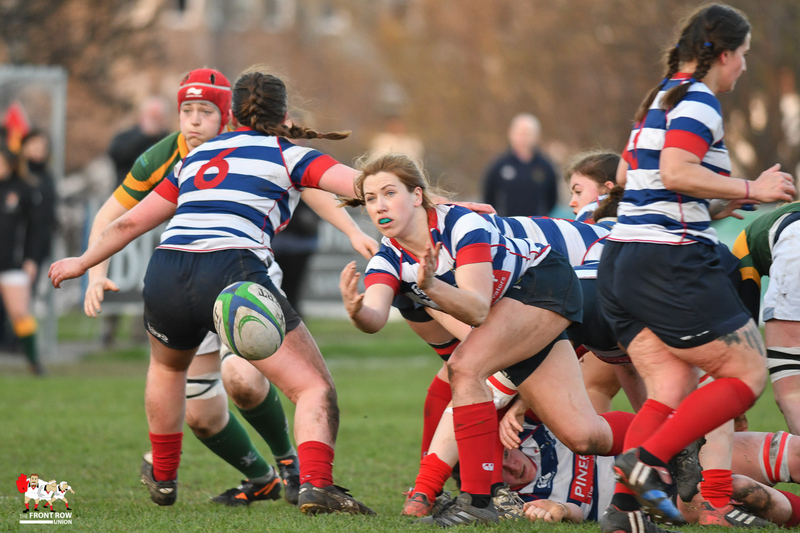 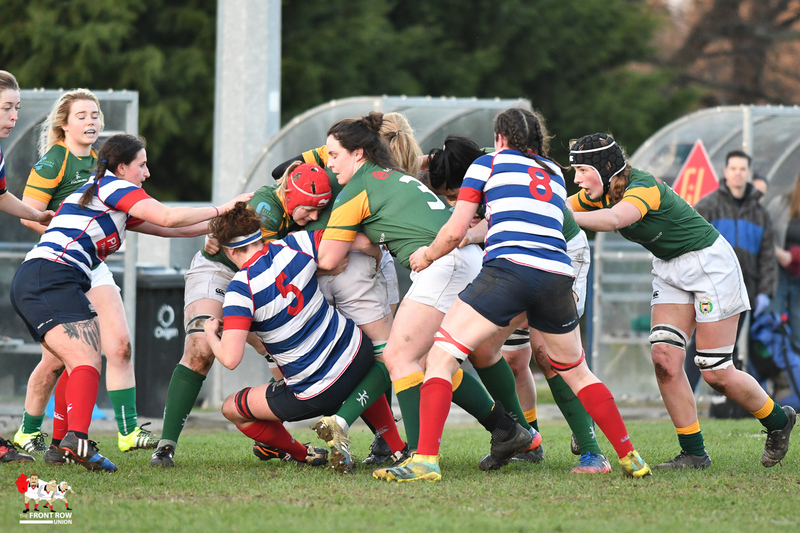 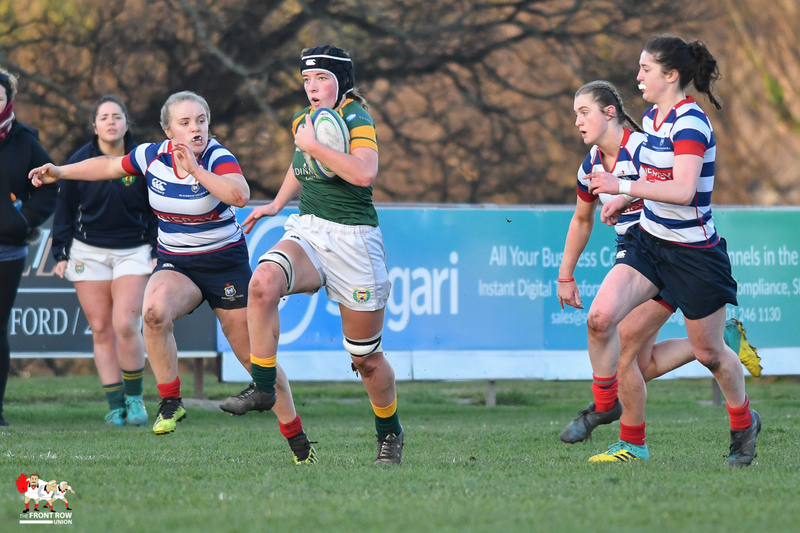 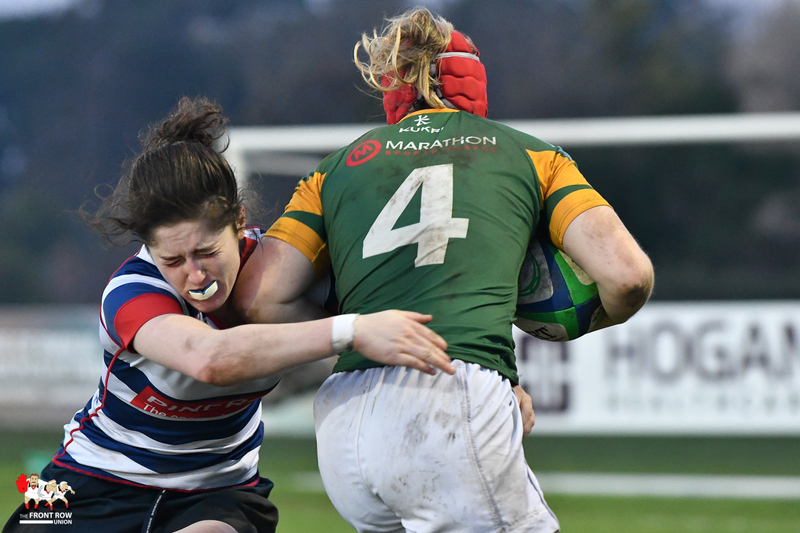 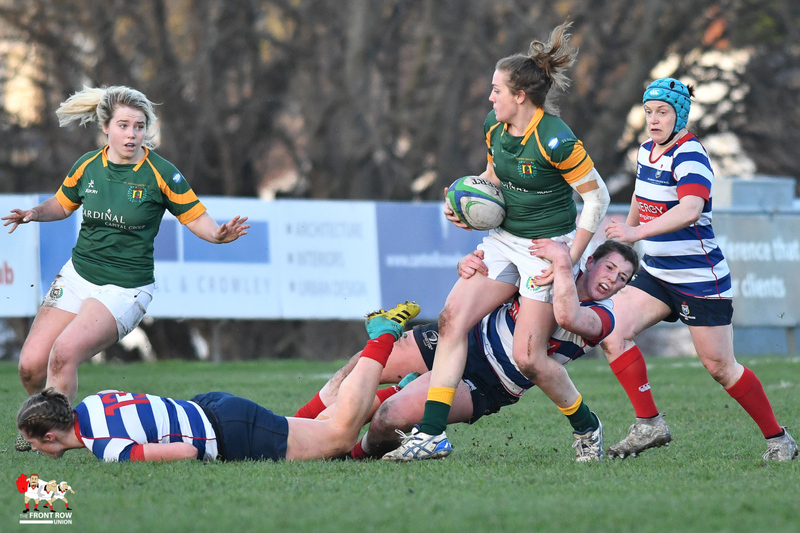 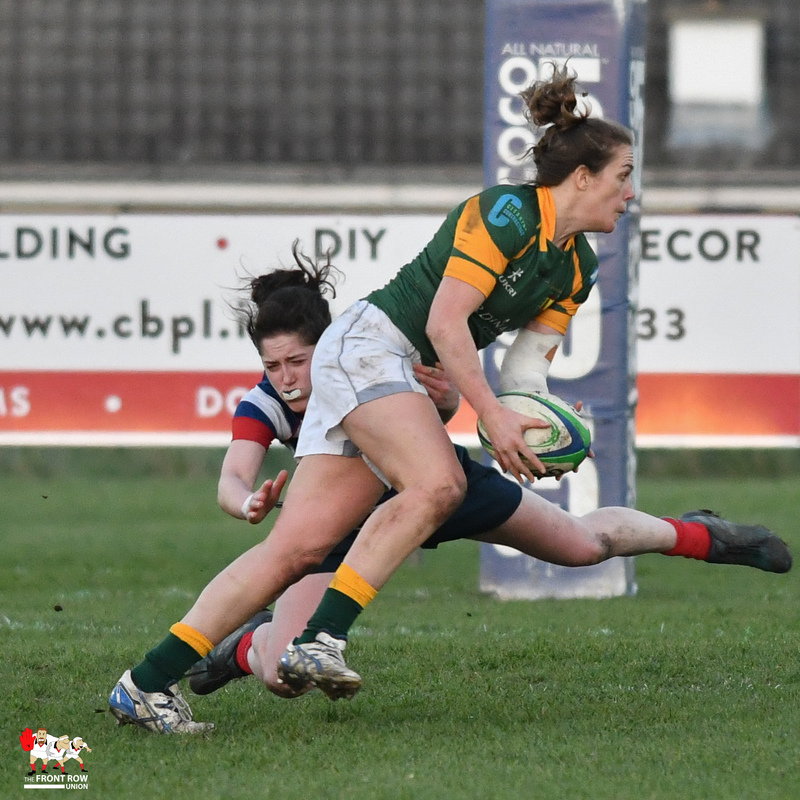 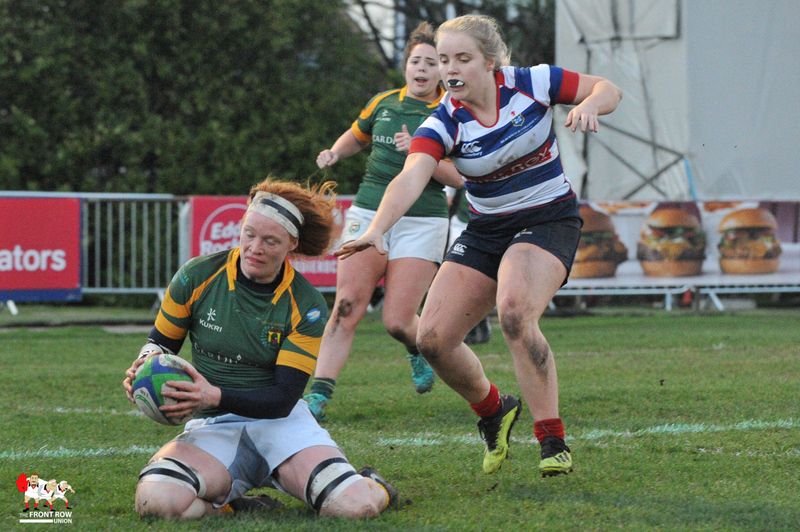 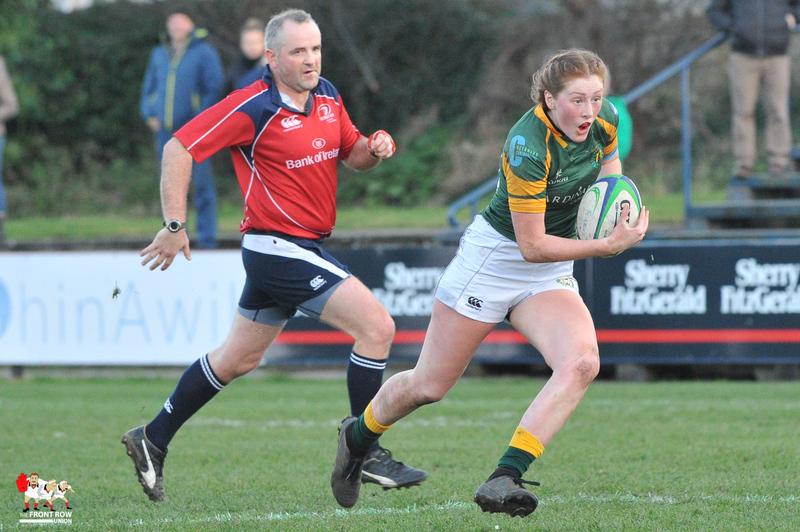 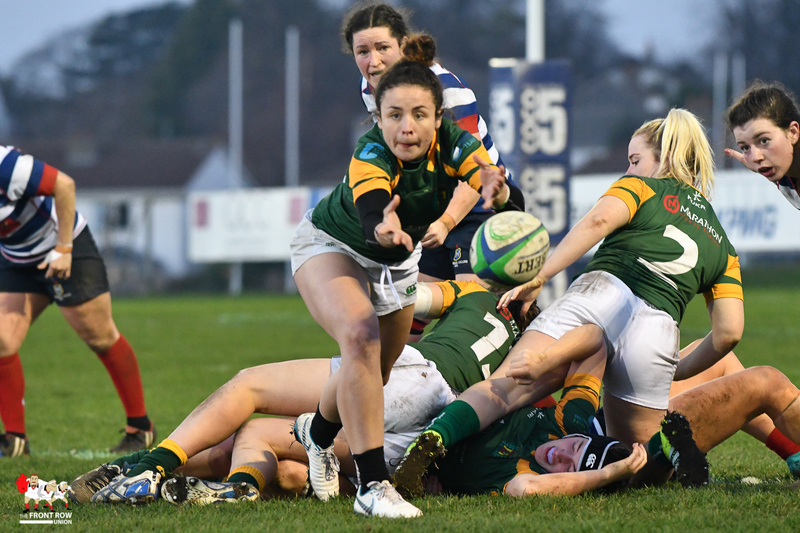 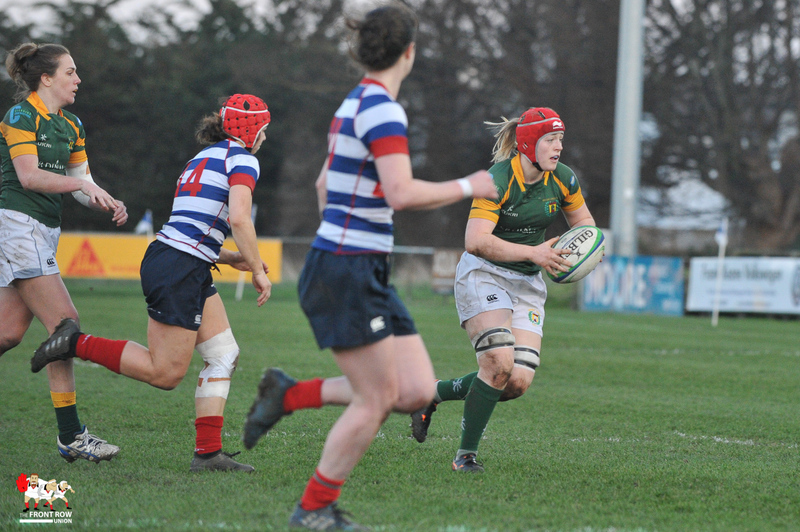 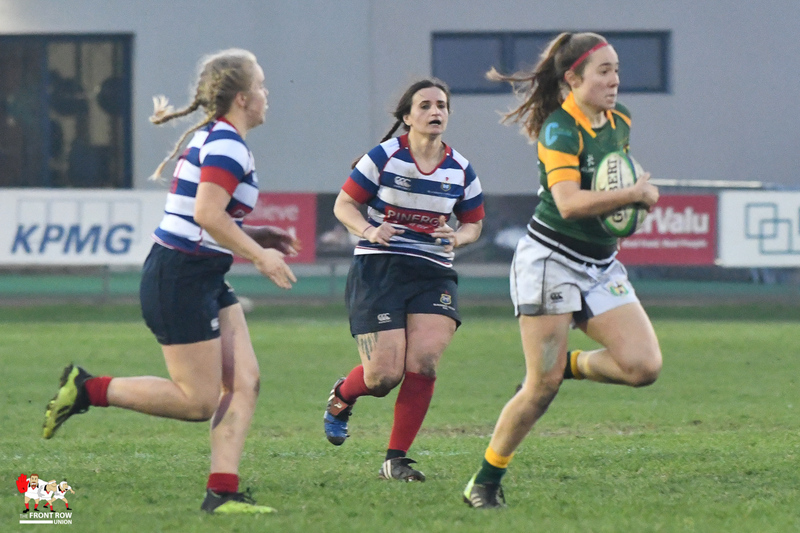 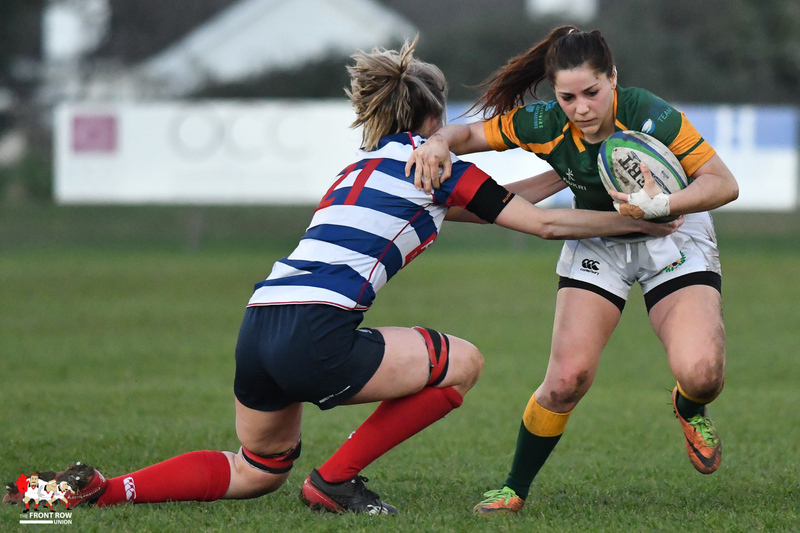 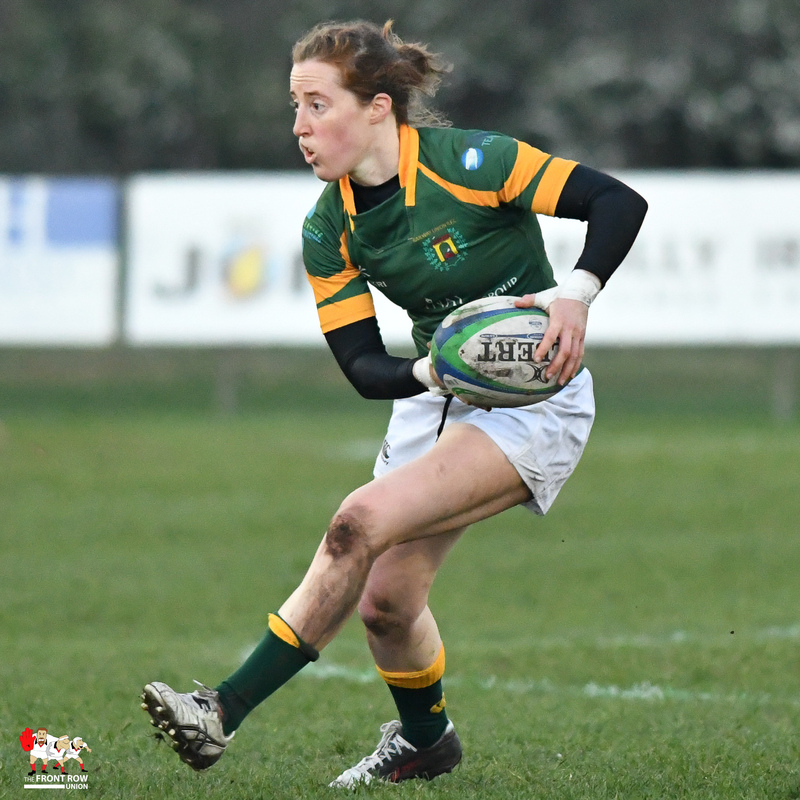 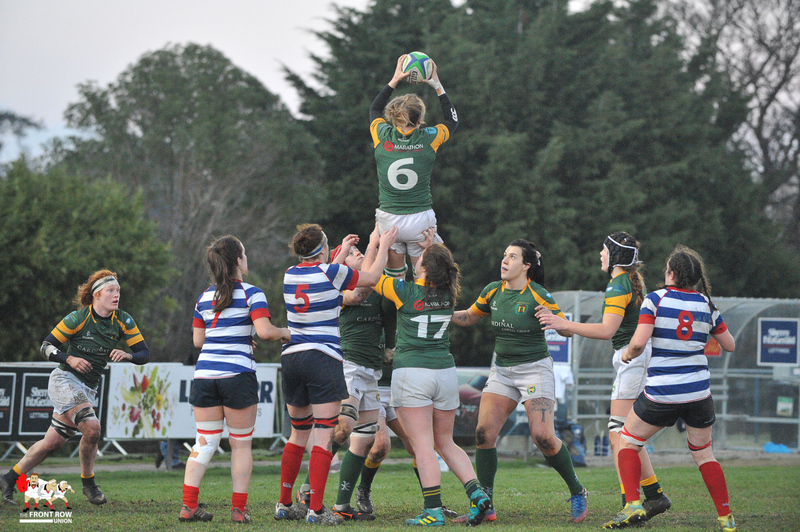 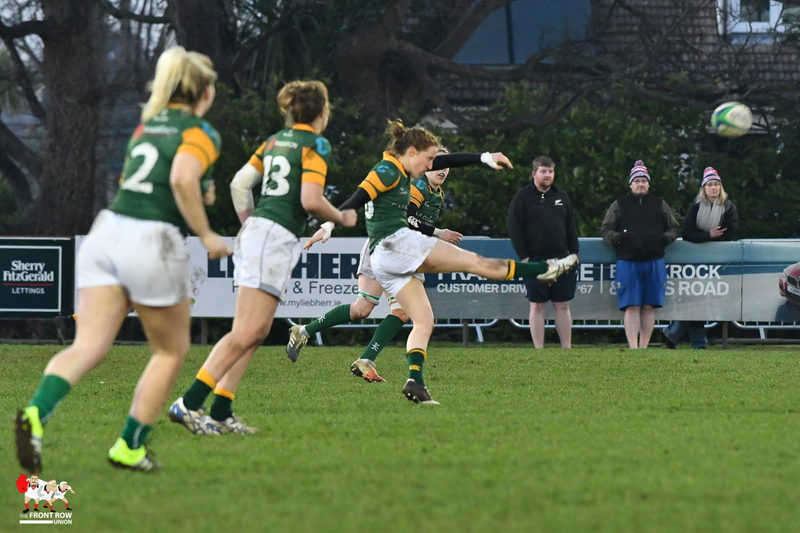 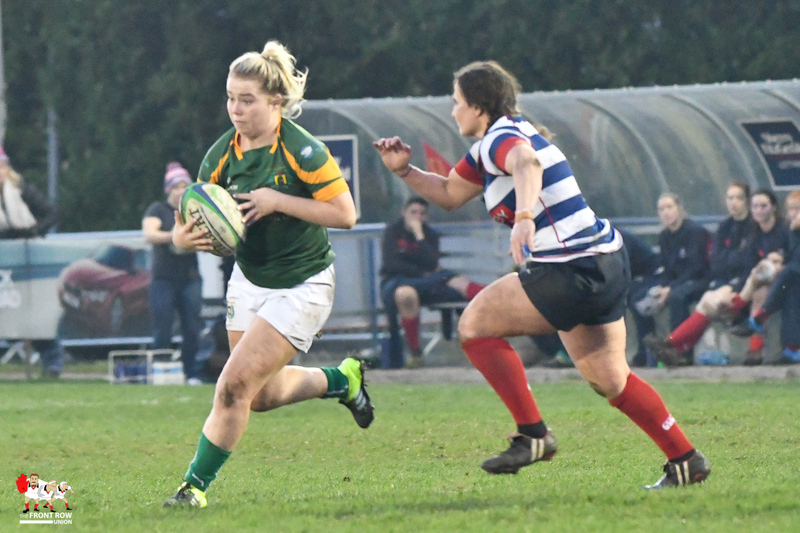 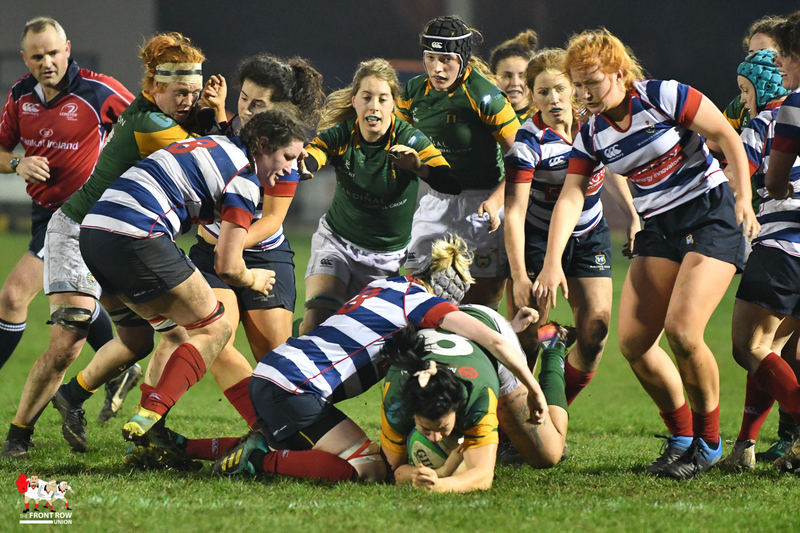 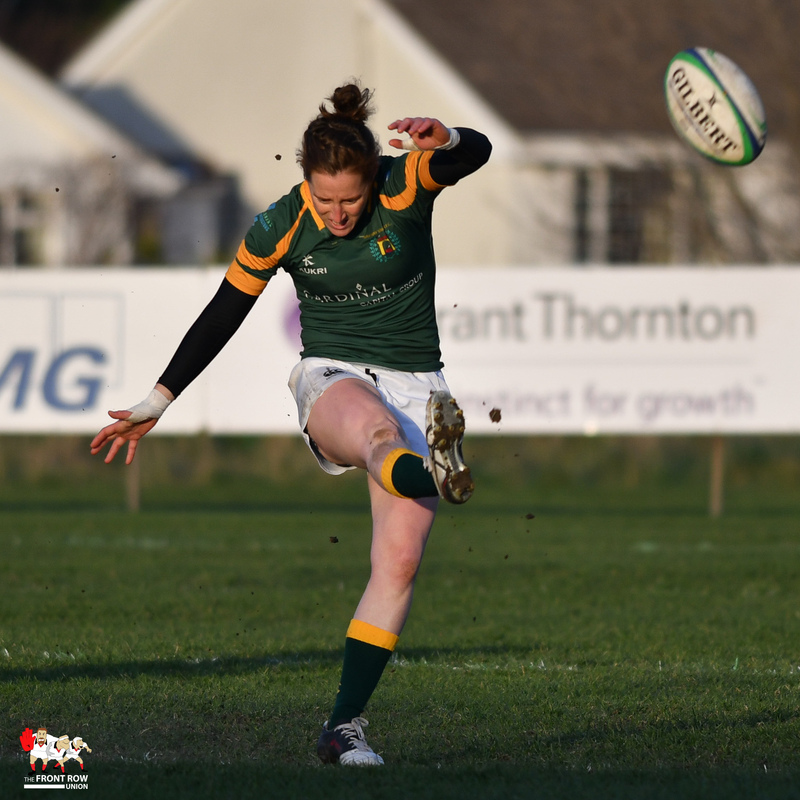 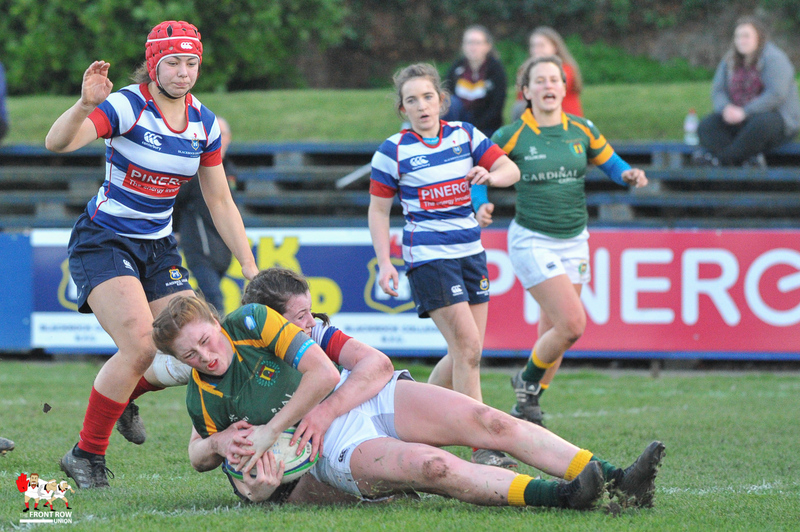 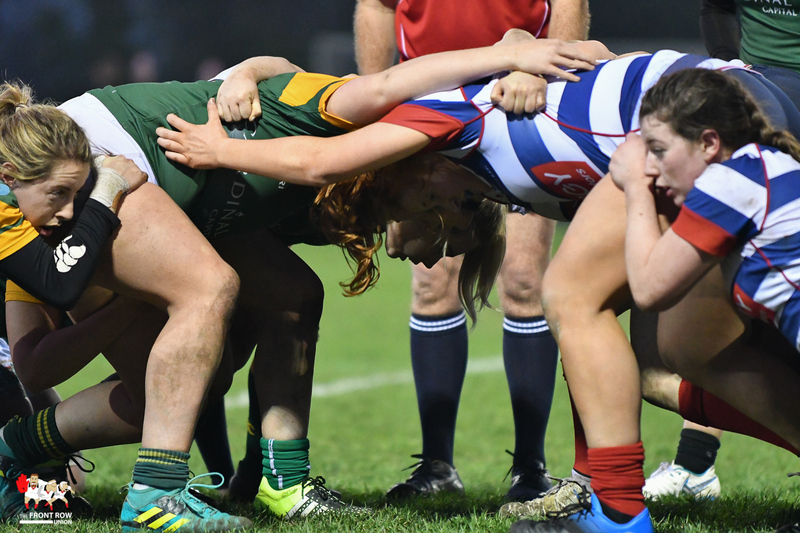 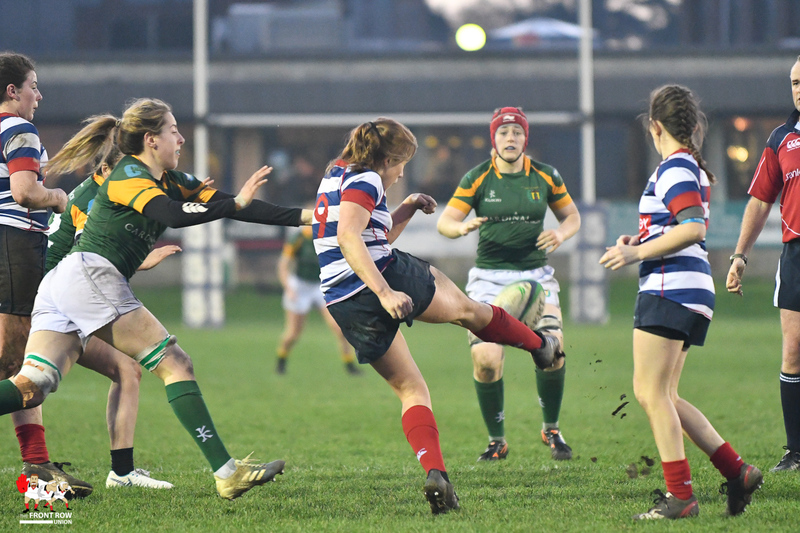 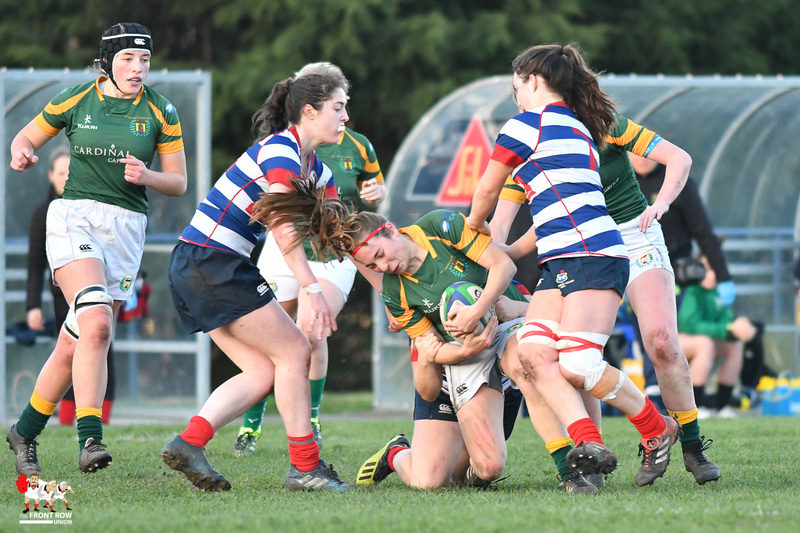 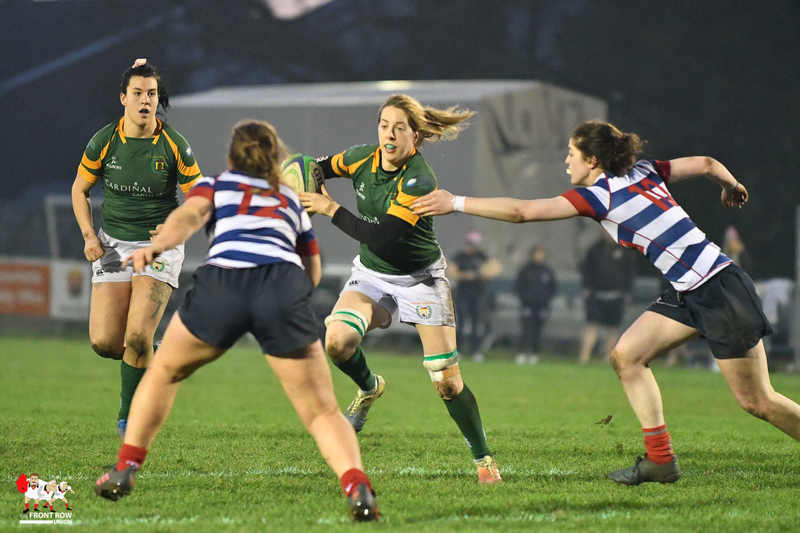 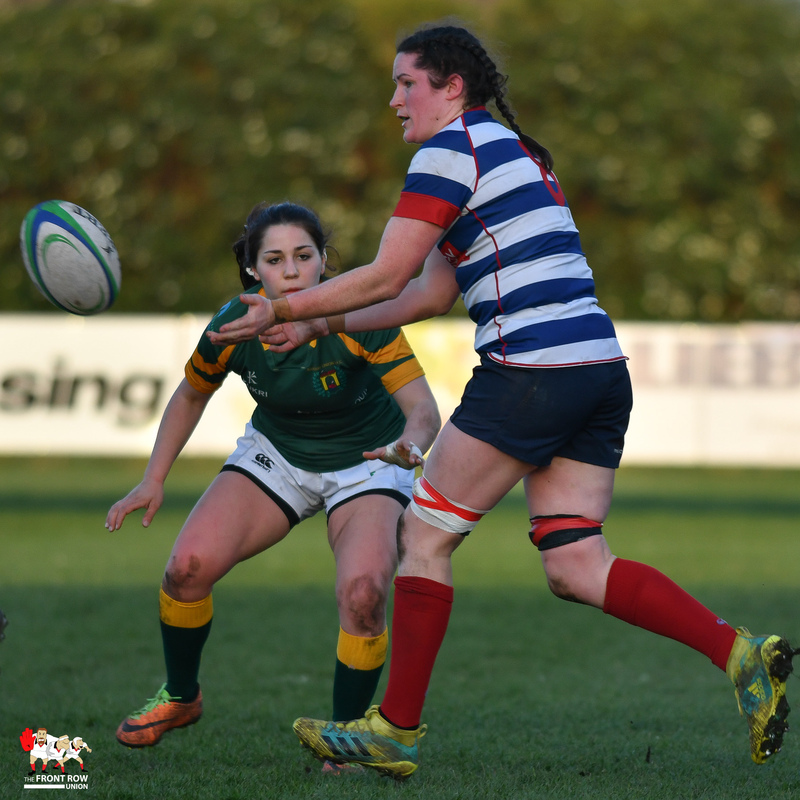 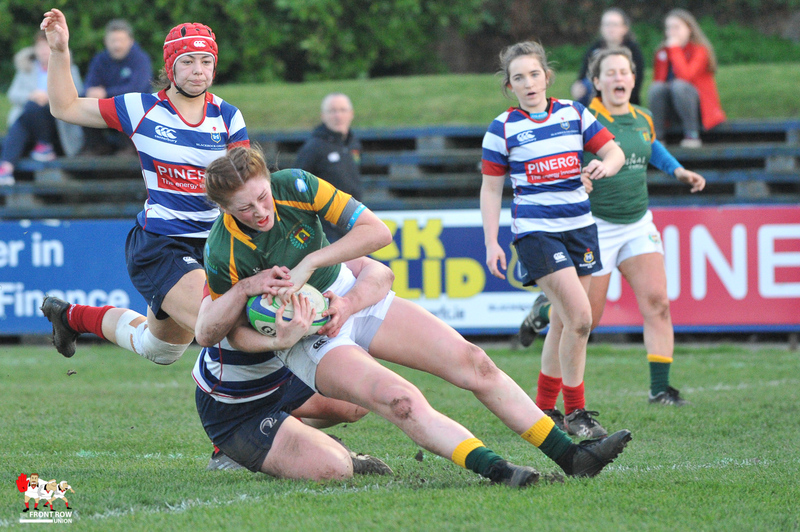 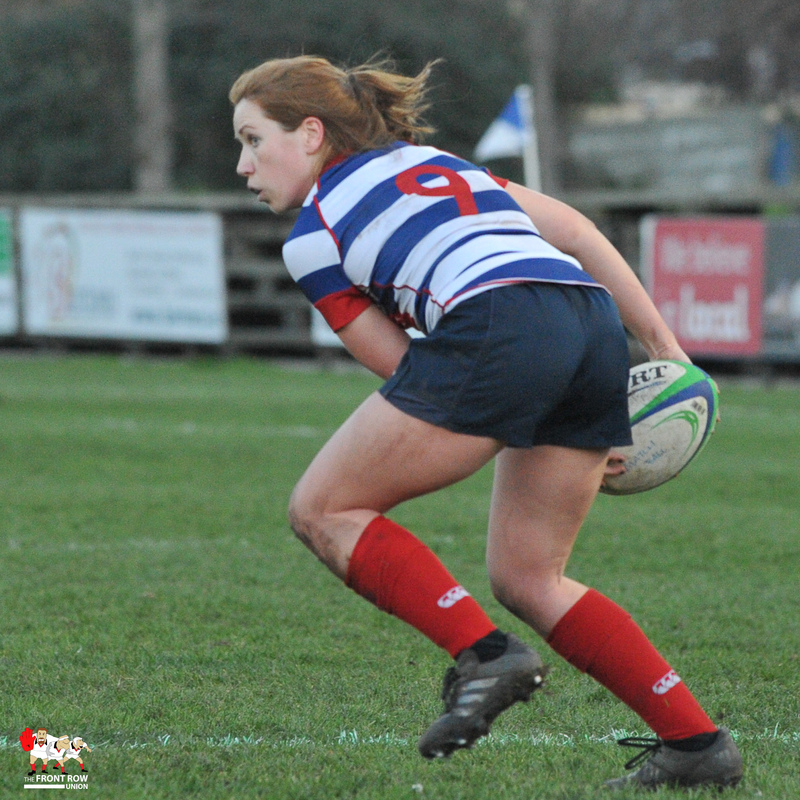 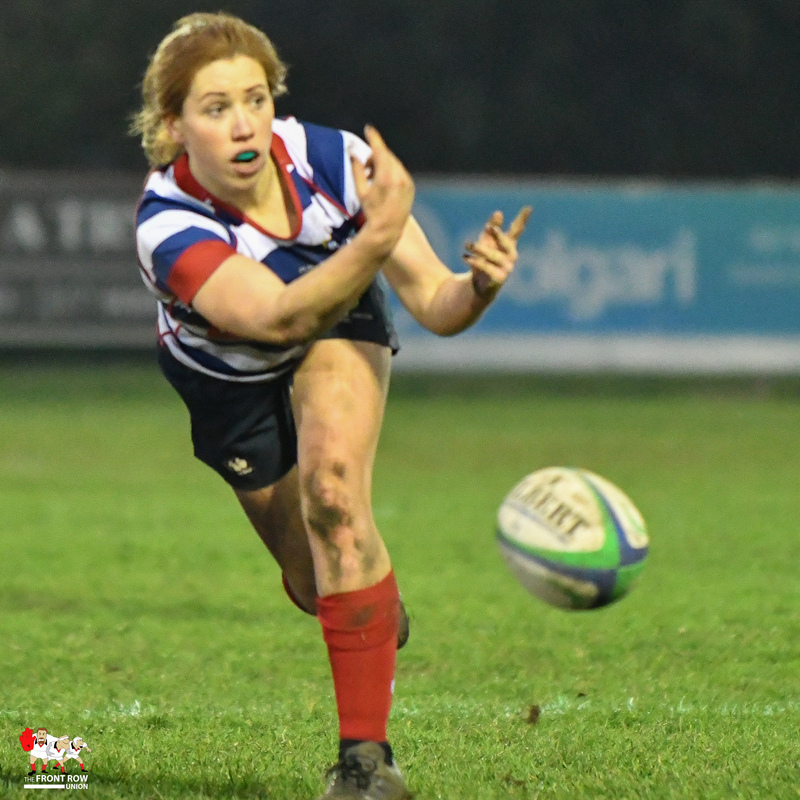 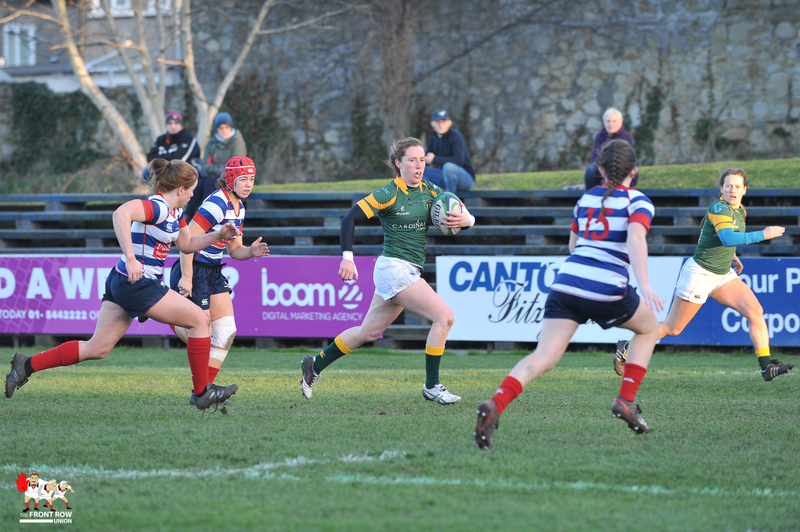 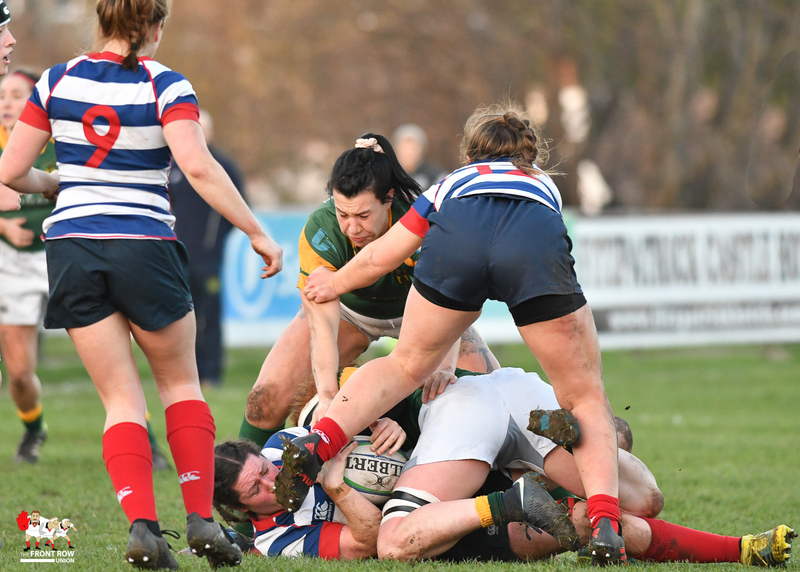 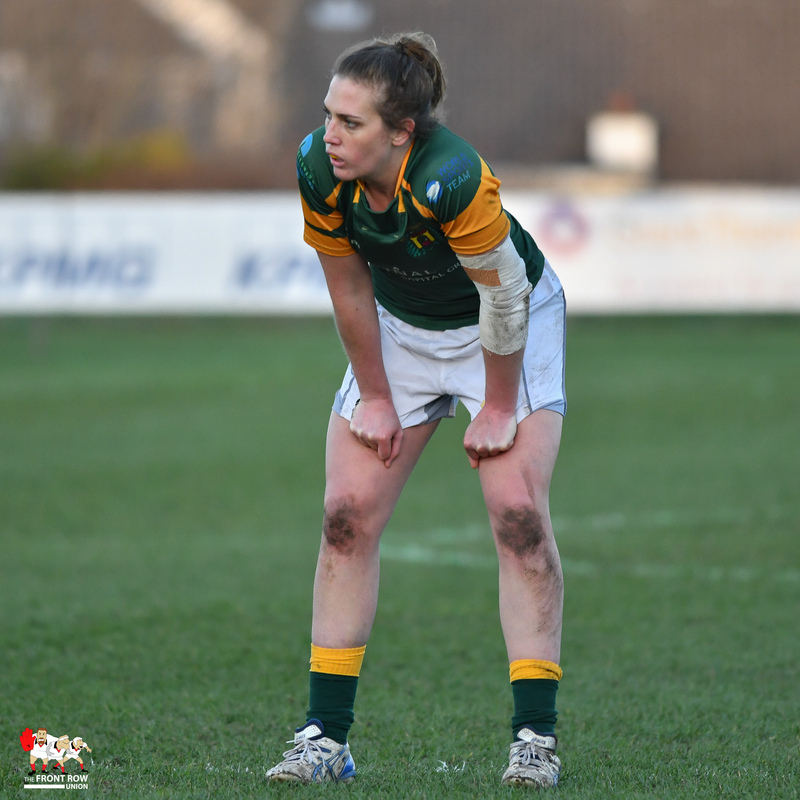 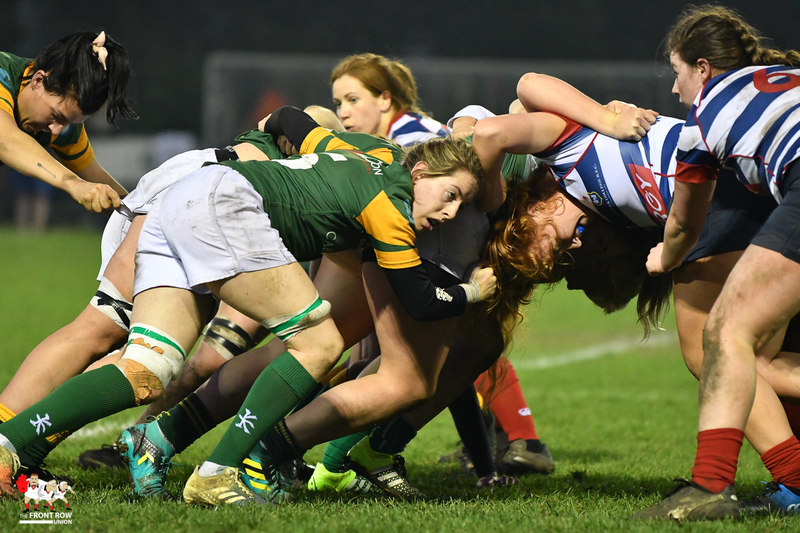 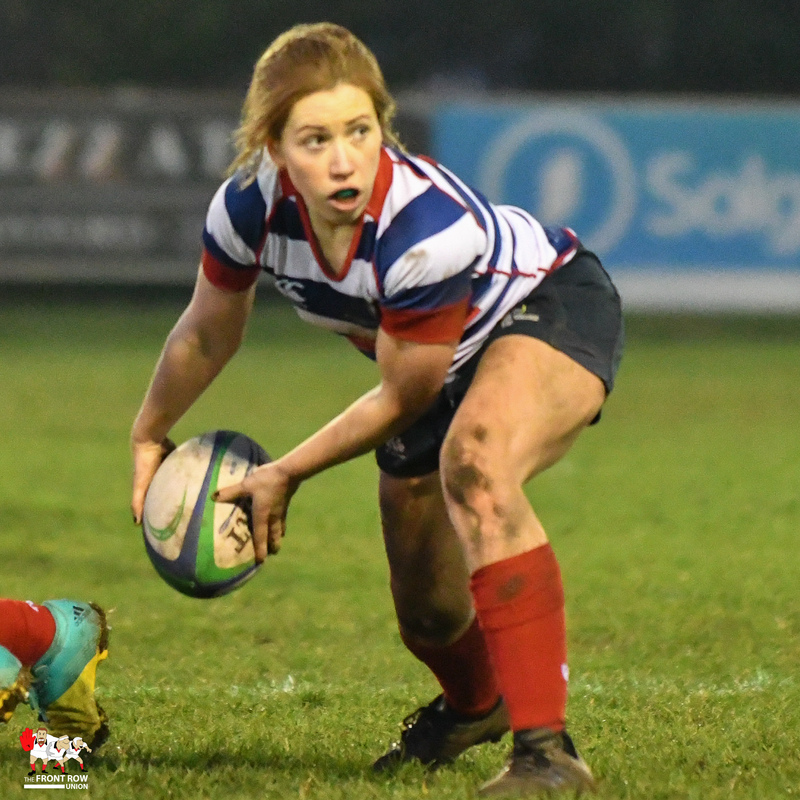 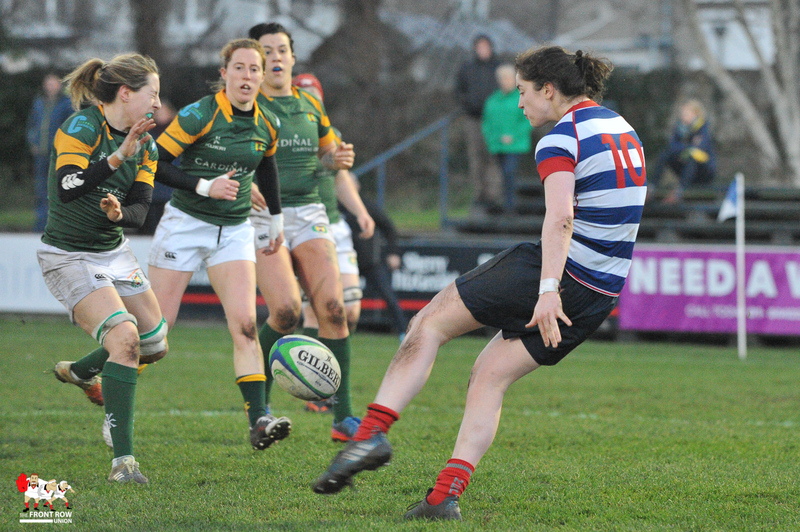 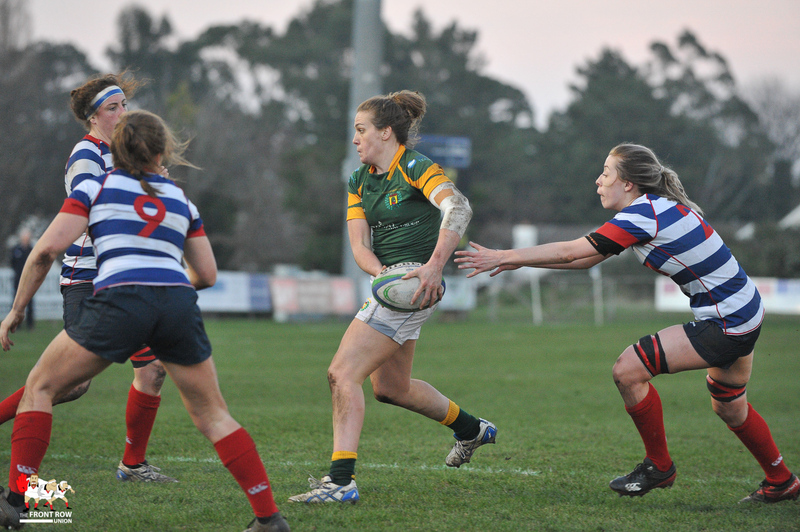 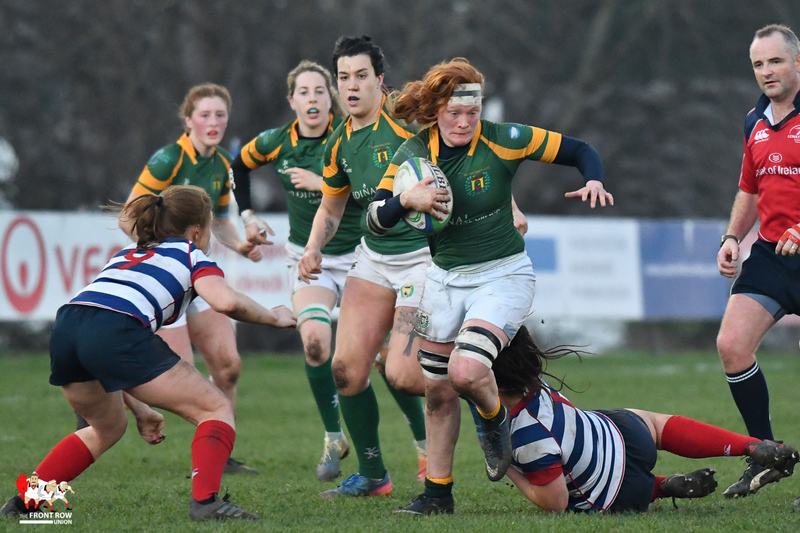 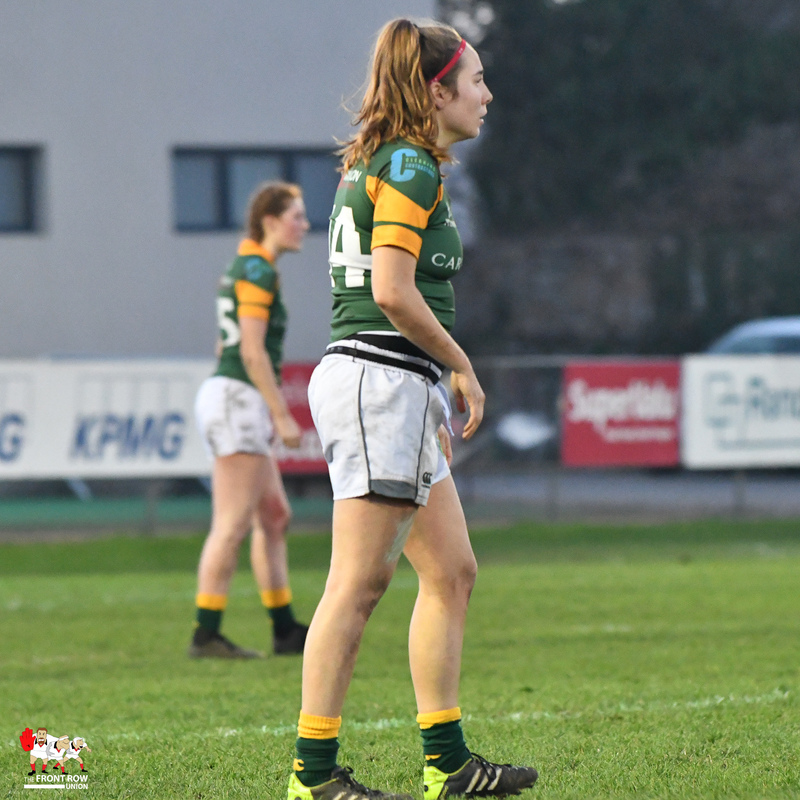 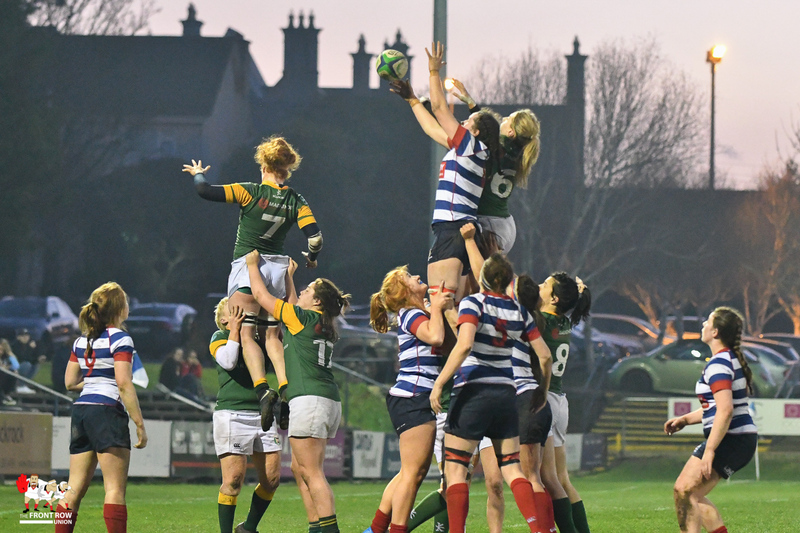 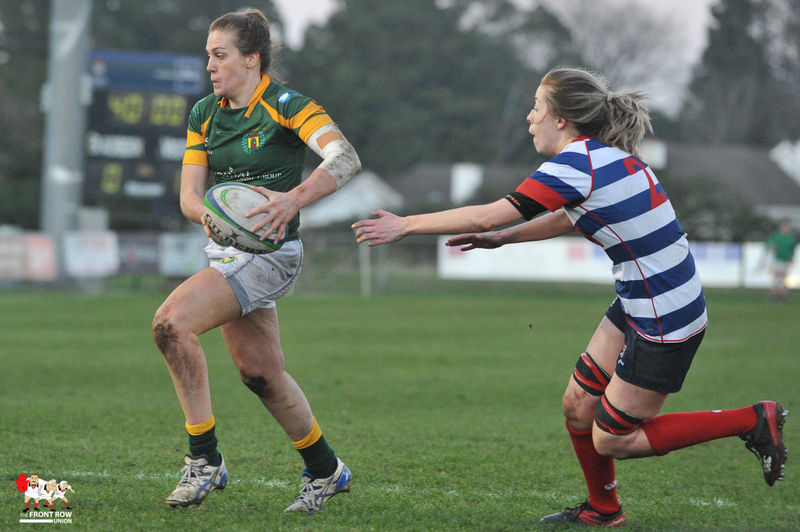 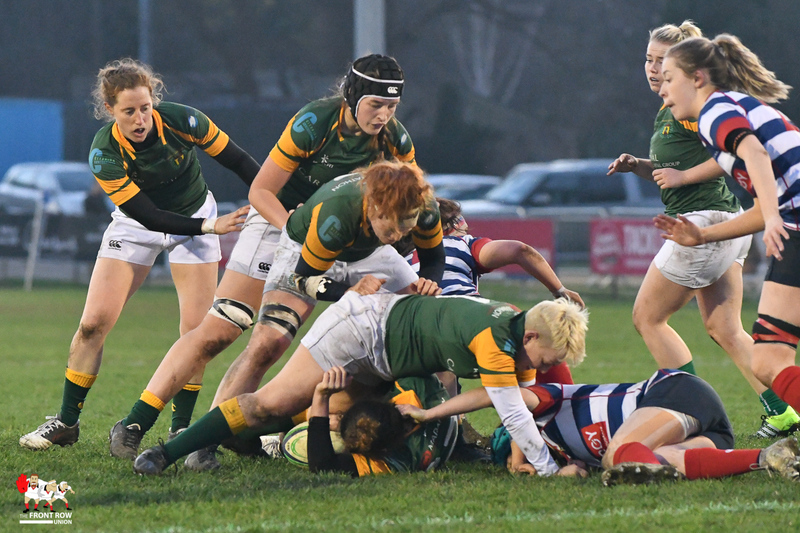 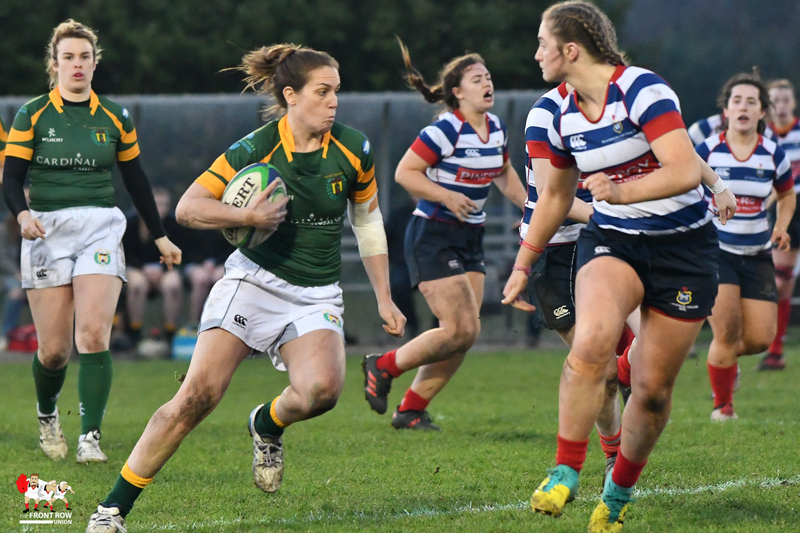 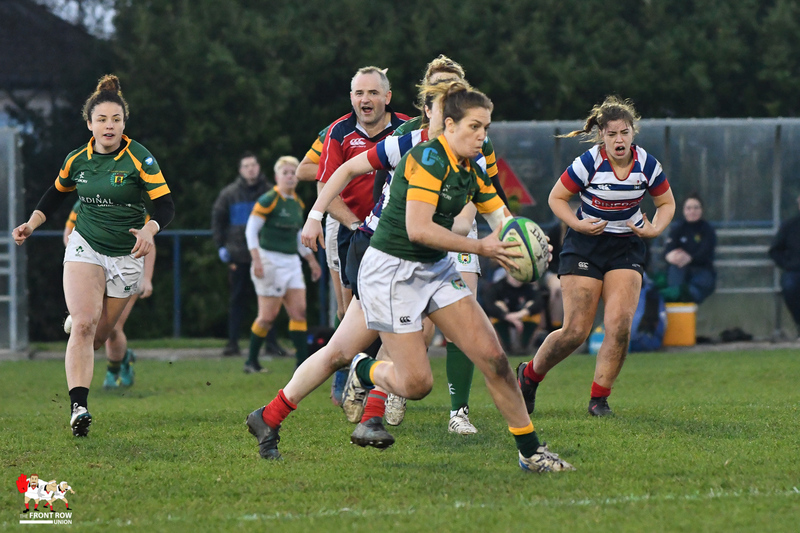 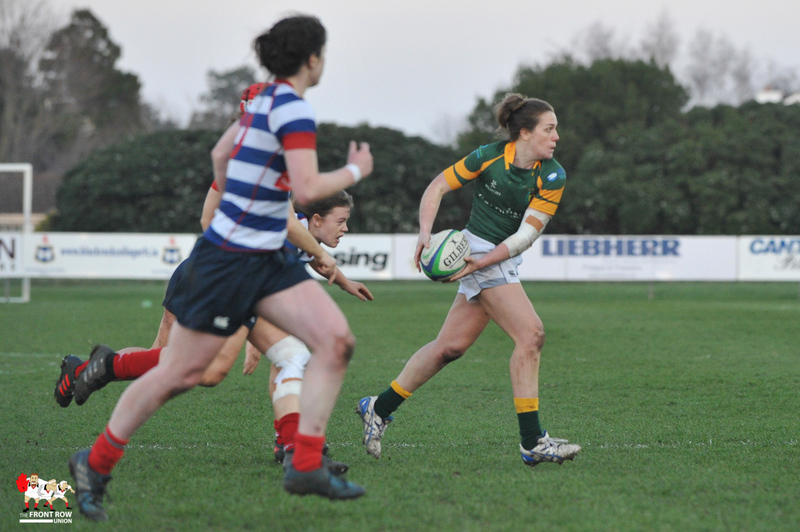 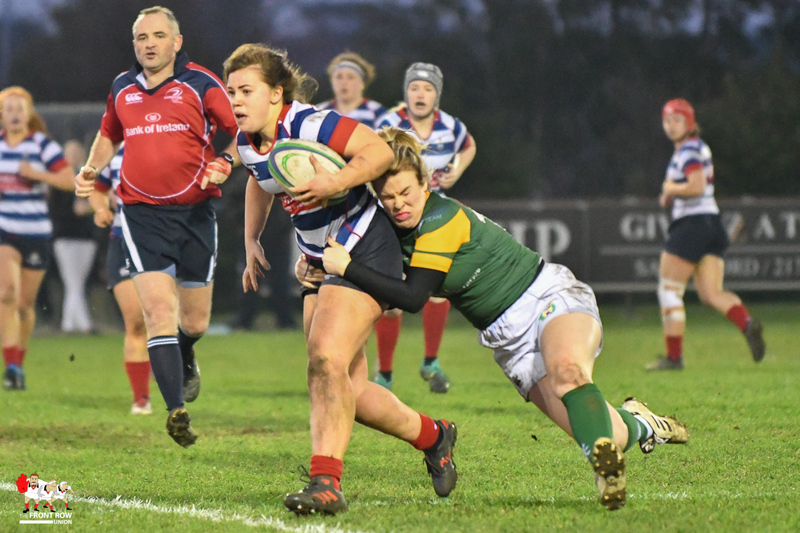 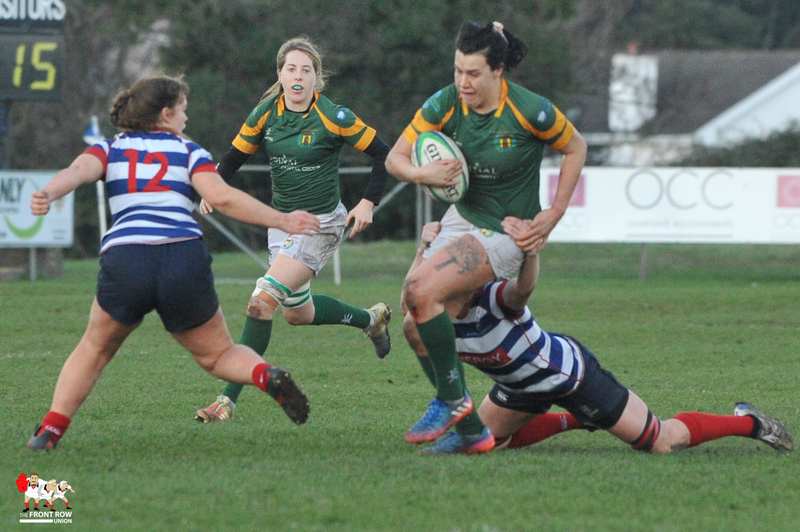 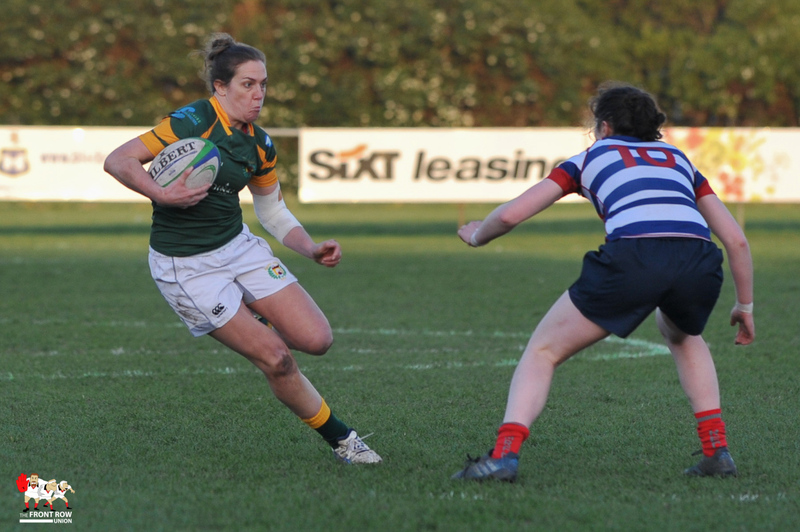 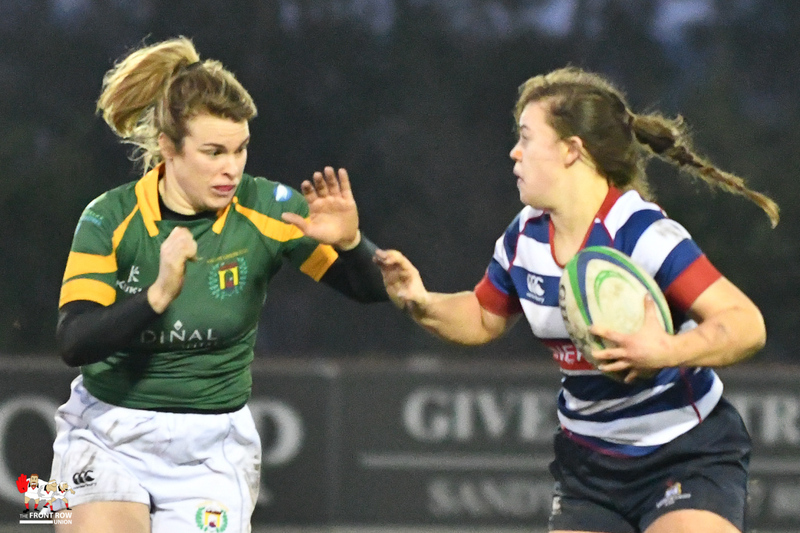 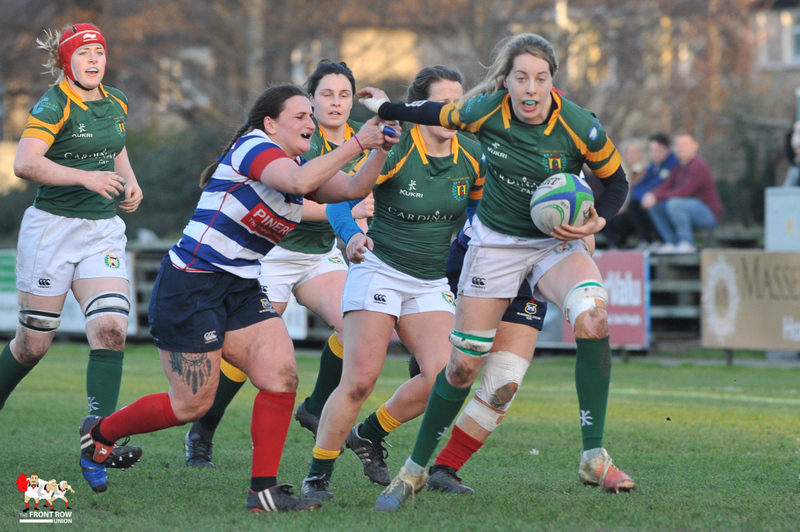 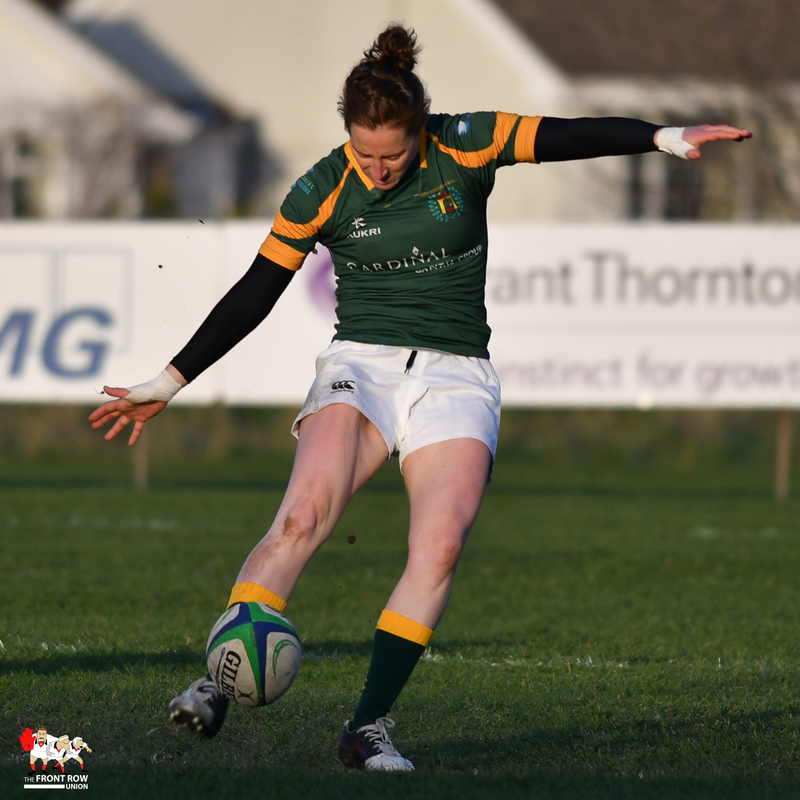 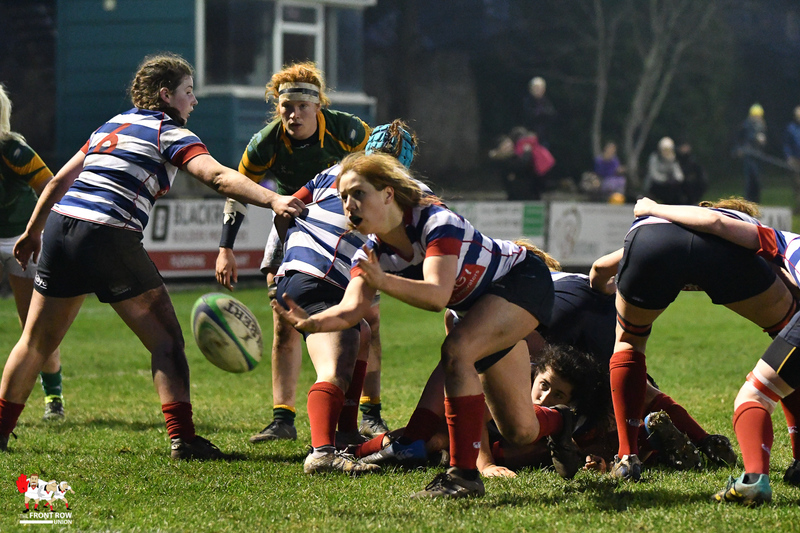 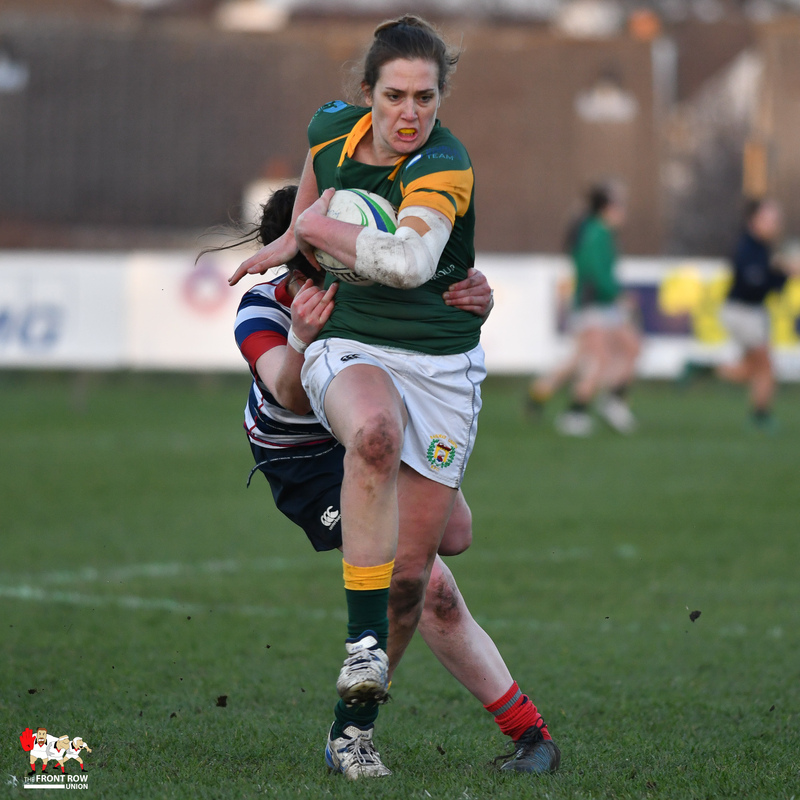 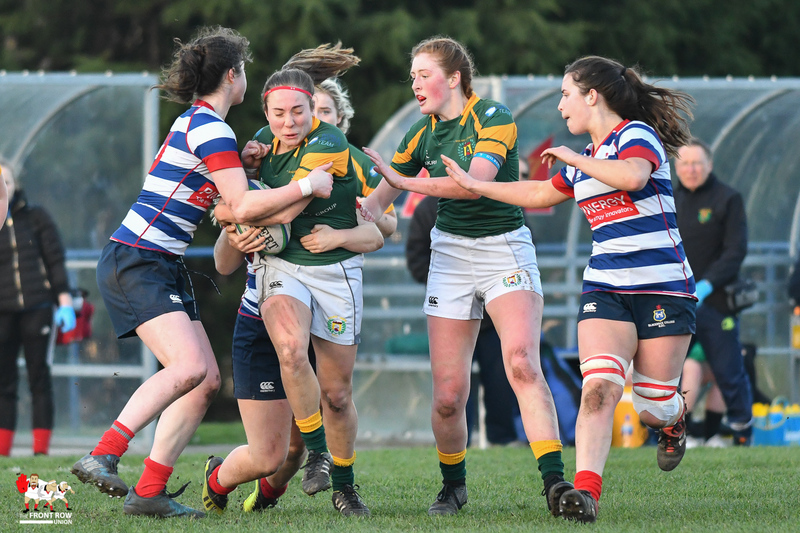 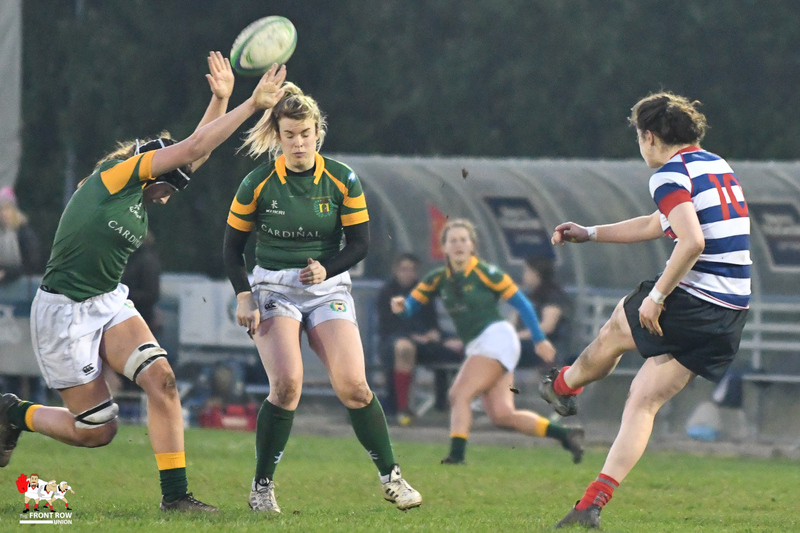 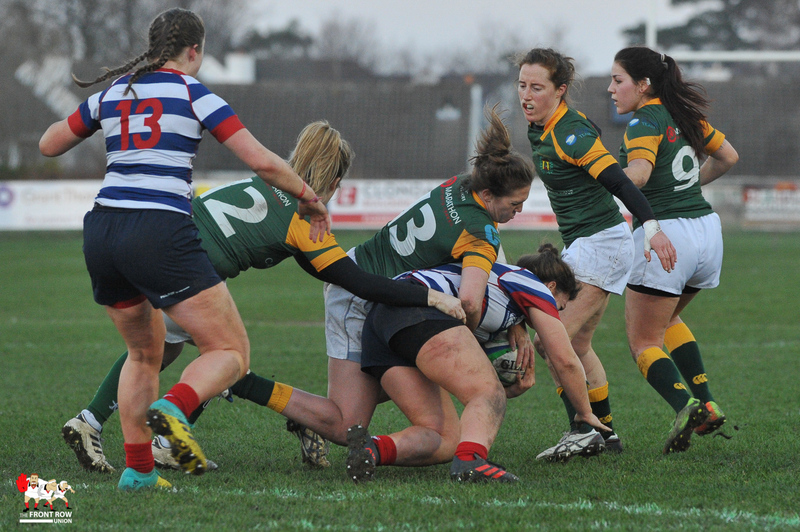 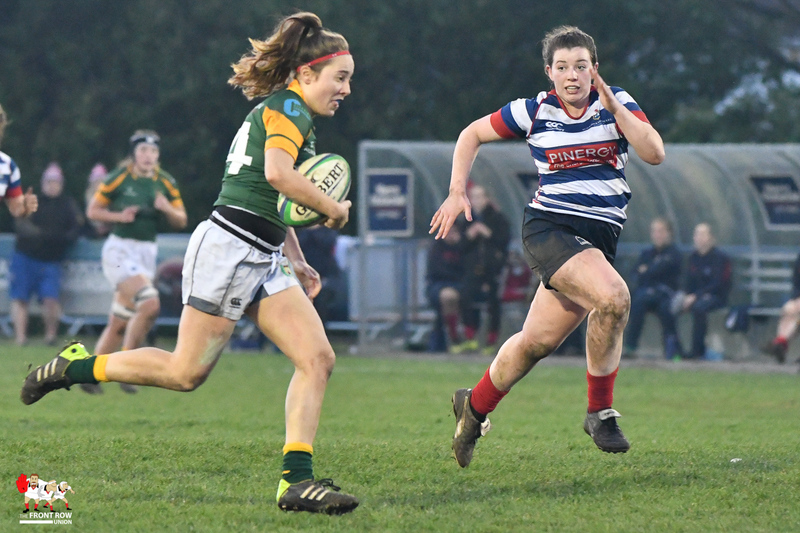 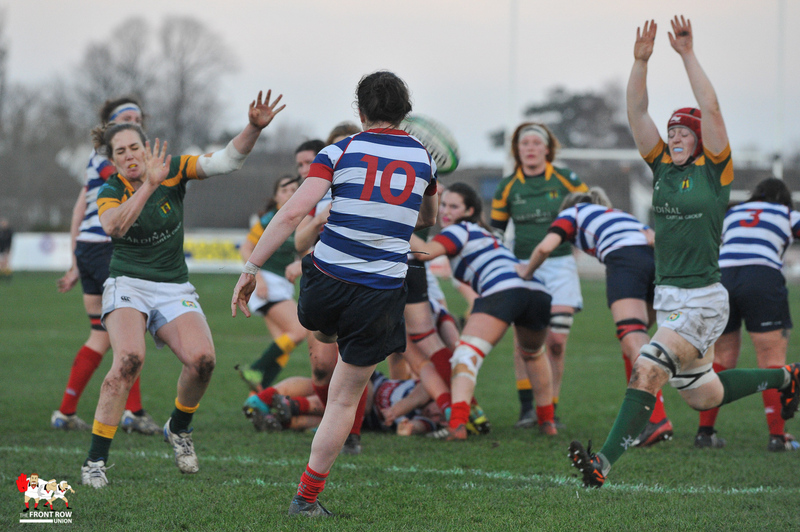 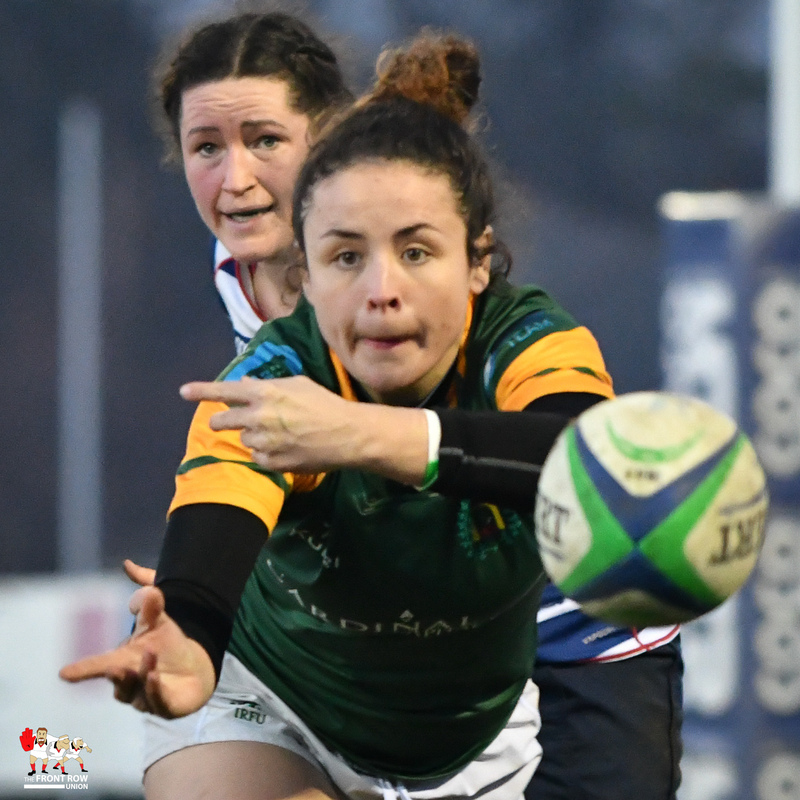 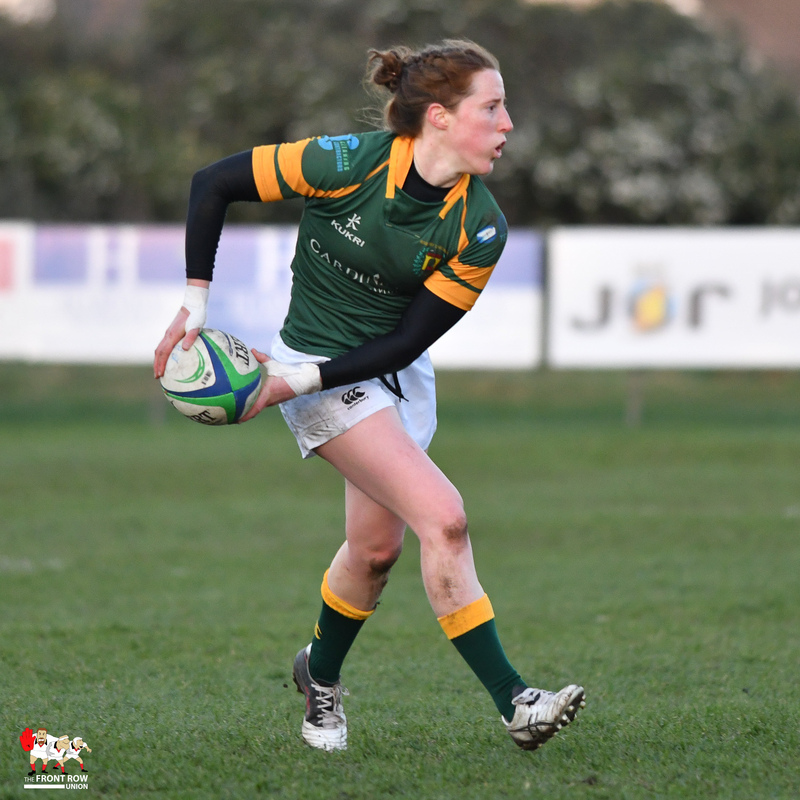 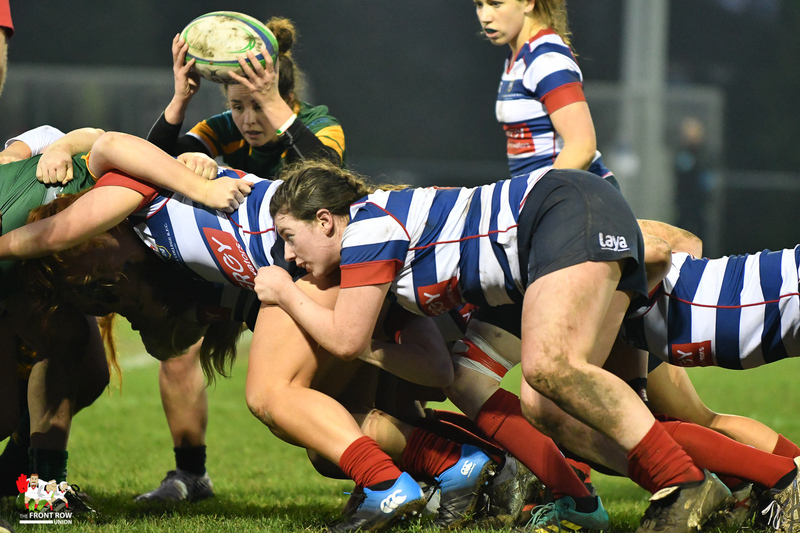 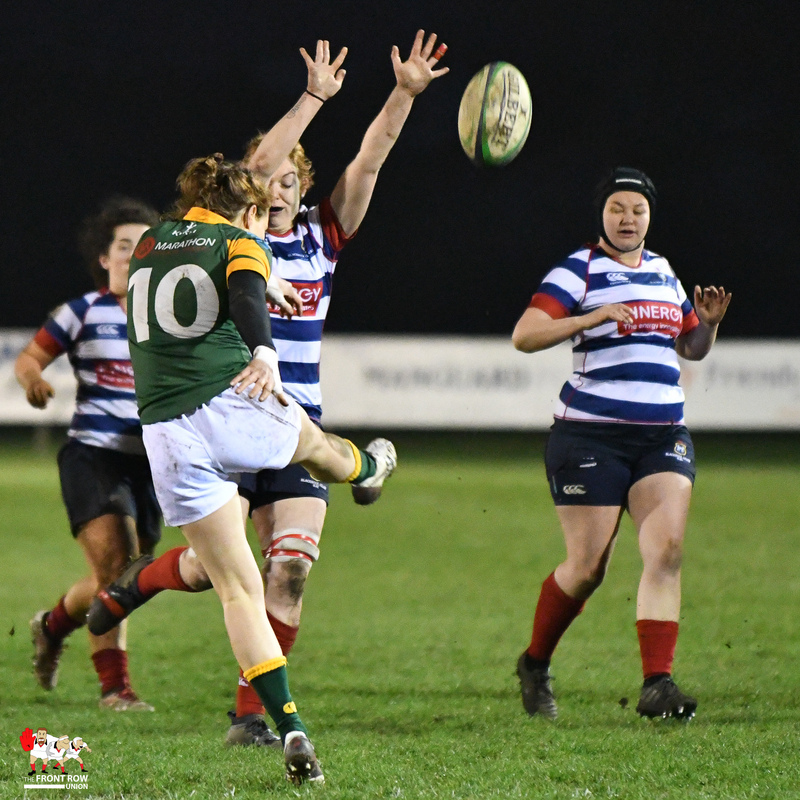 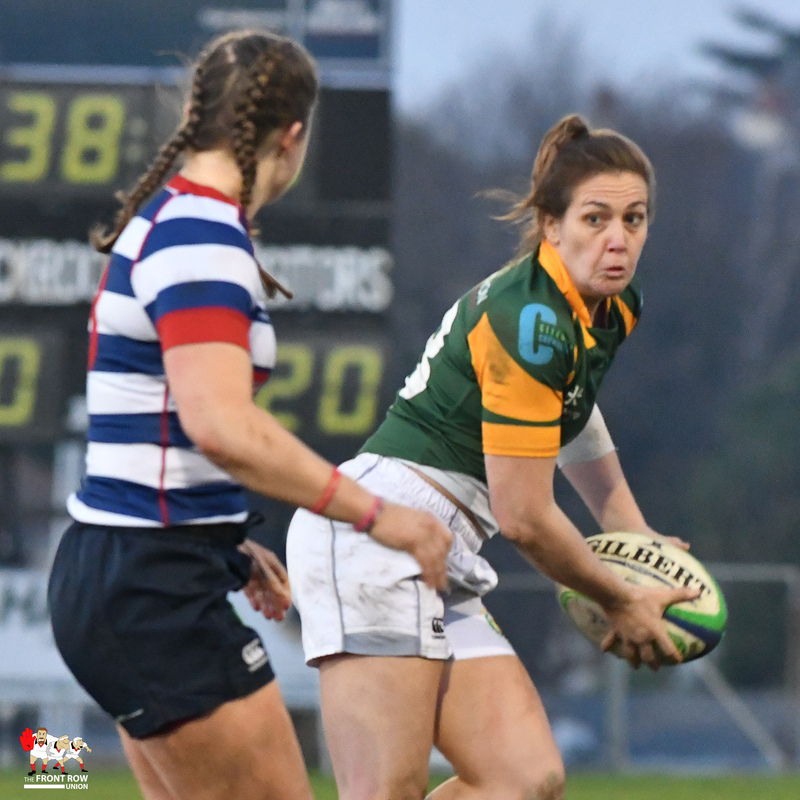 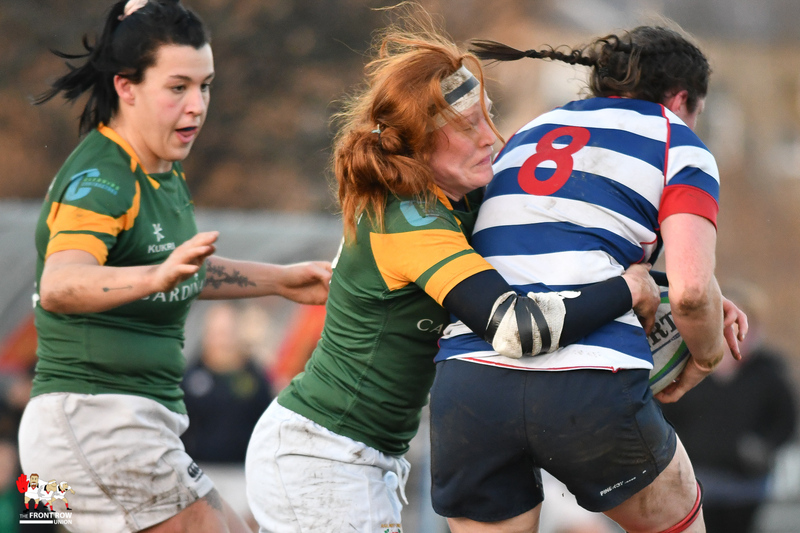 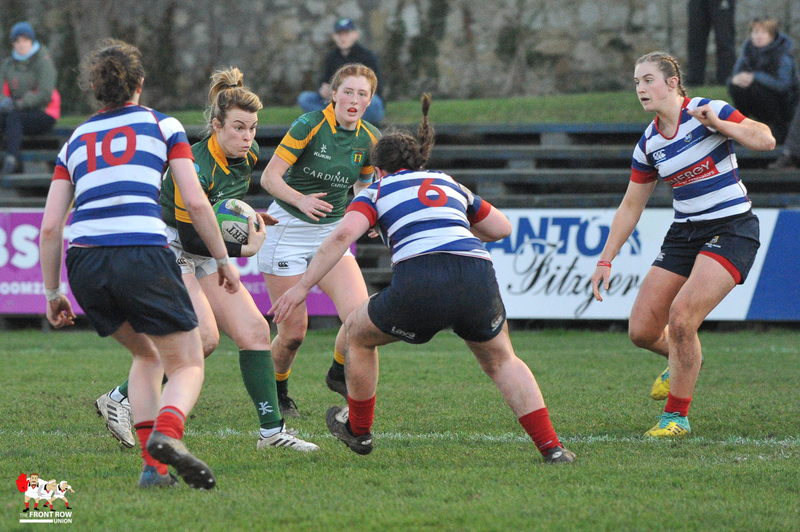 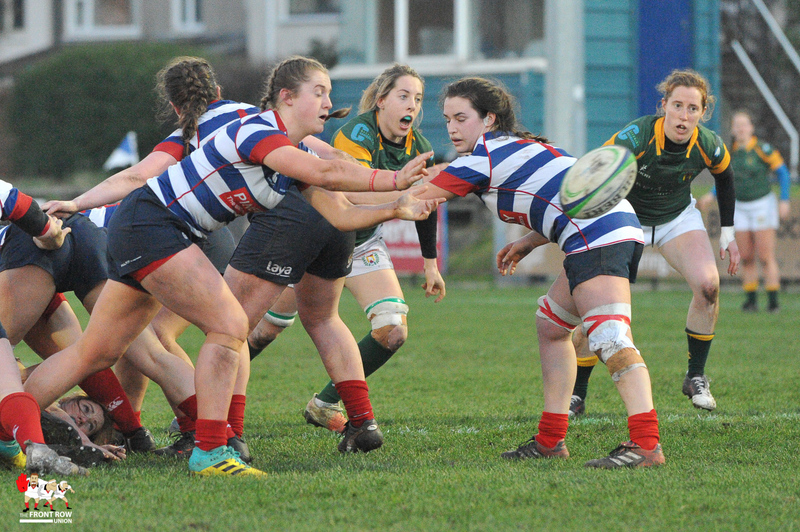 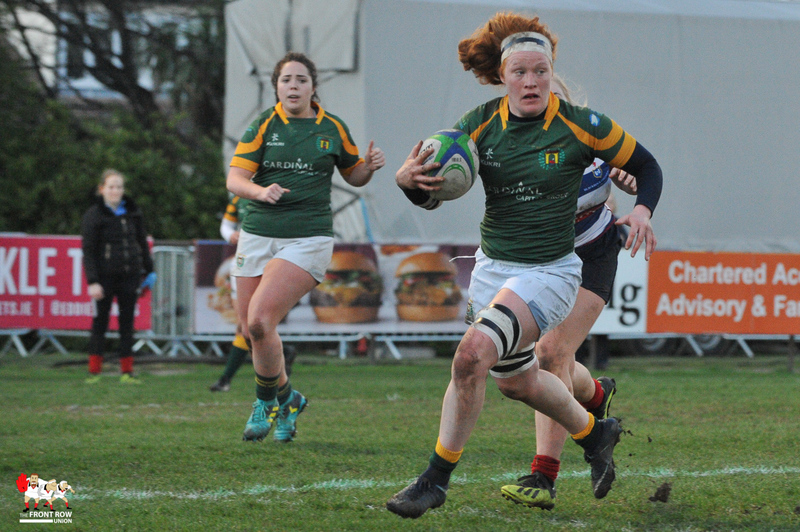 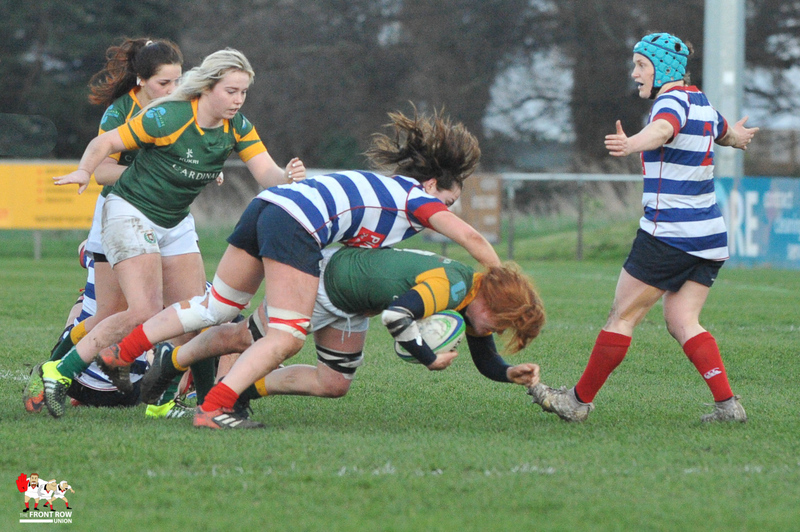 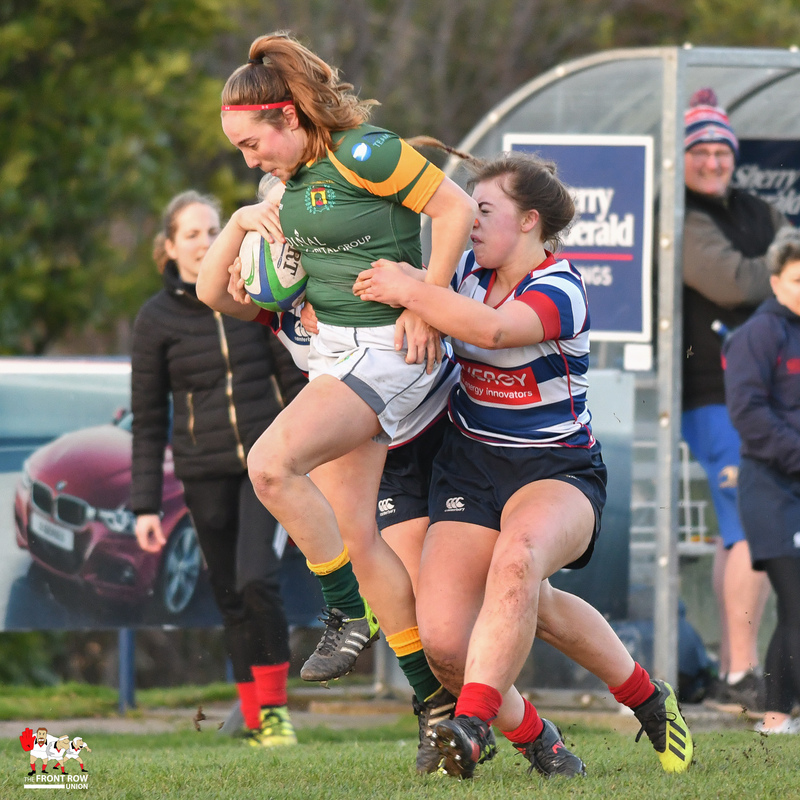 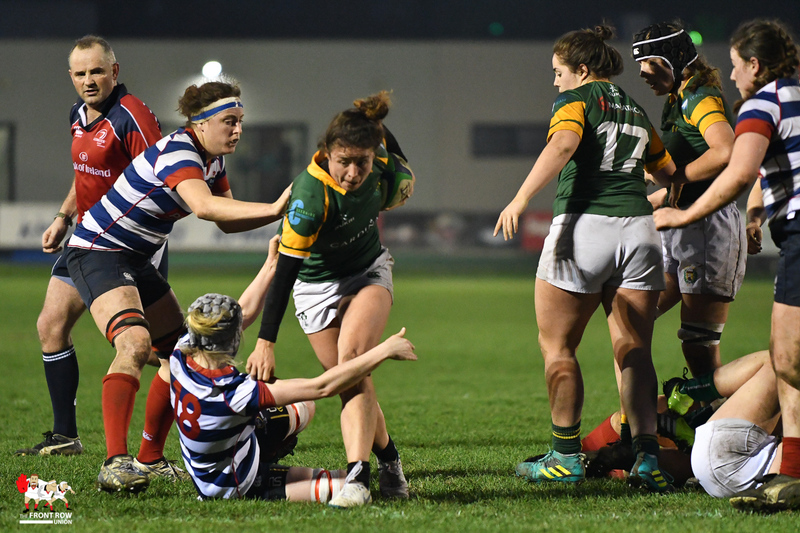 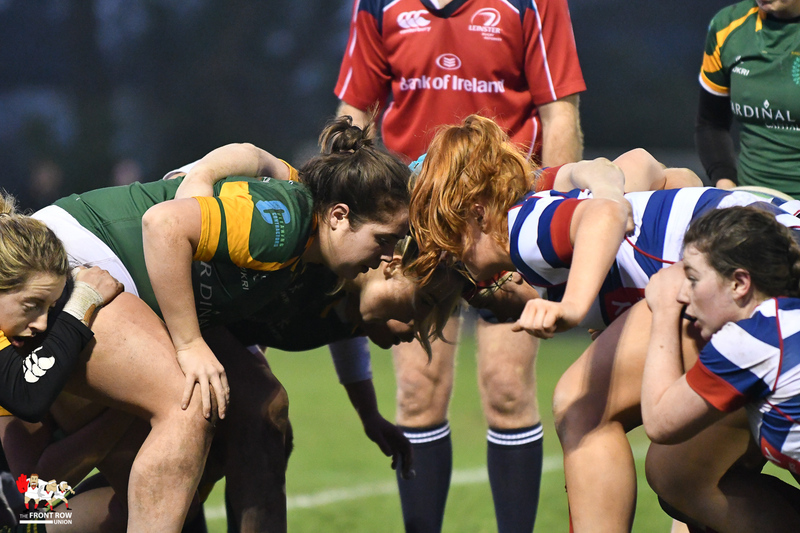 The opening ten minutes was played largely between the 10 metre lines but once Railway outhalf Claire Keohane crossed for her side’s first try in the twelfth minute, the visitors took control of the game and the home side found themselves on the back foot for large periods of the match. 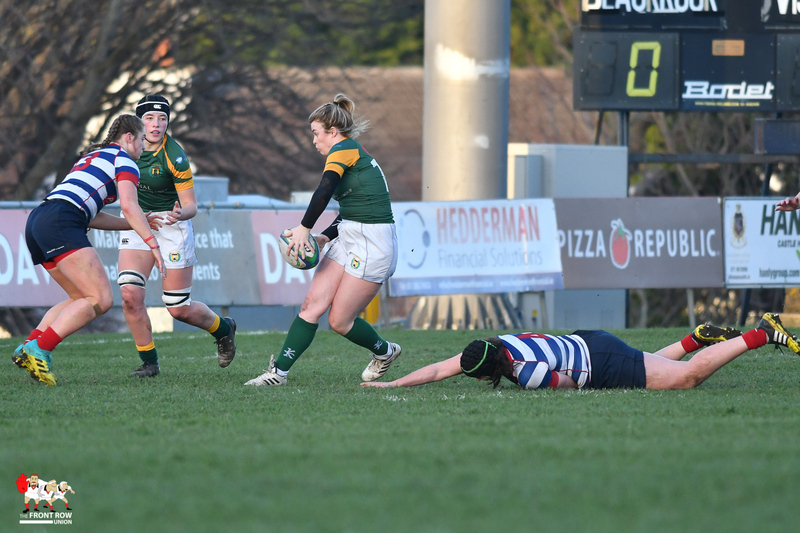 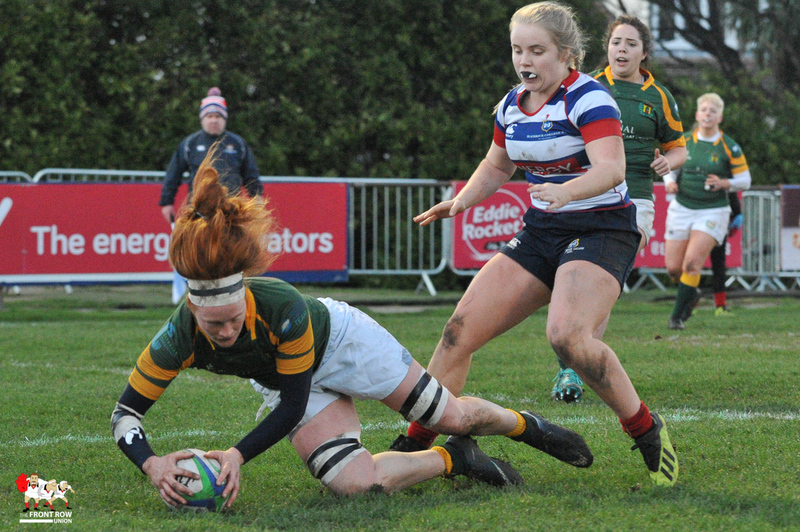 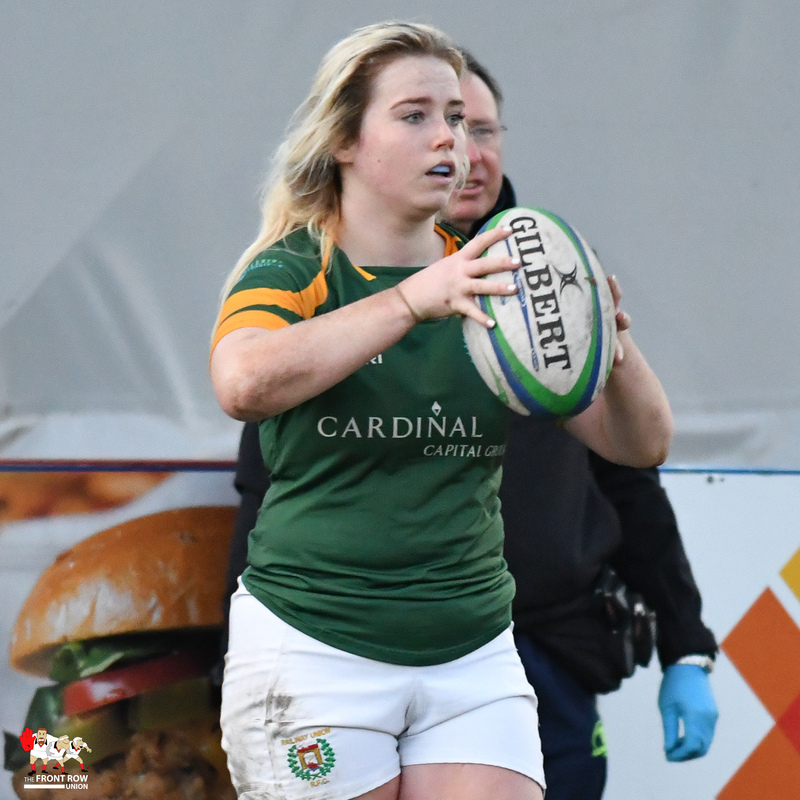 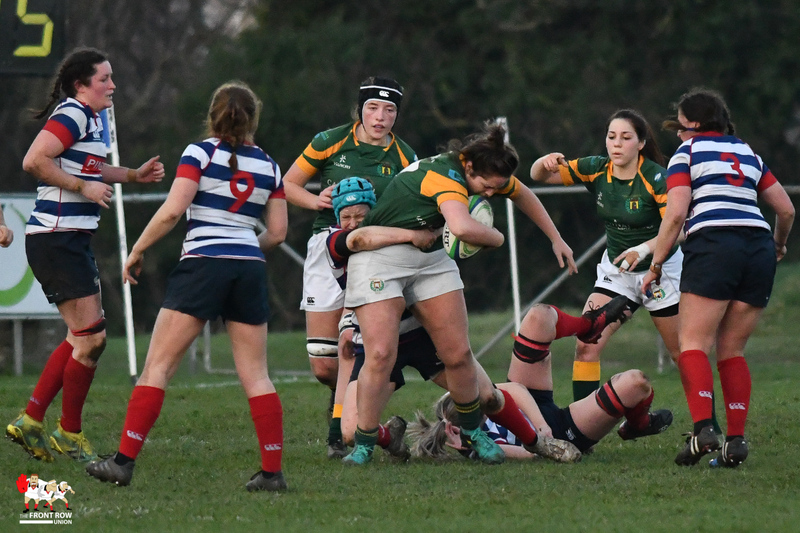 A second try, also down the Rock right flank, came five minutes later courtesy of blindside Emma Murphy with fullback Aoife Shaughnessy dotting down on the half-hour before the impressive openside Juliet Short registered the try bonus point just before the break to see the teams turn around 0-20. 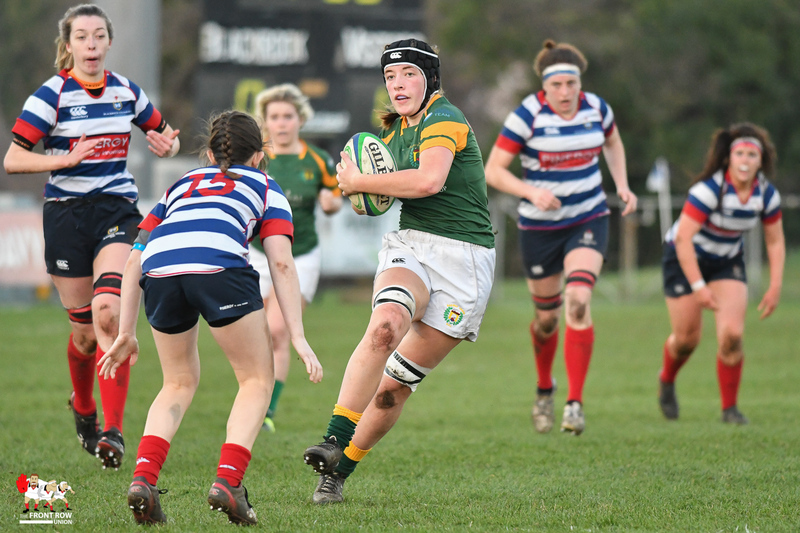 To their credit, Blackrock tightened the defence up and held Railway at bay for the first twenty minutes of the second half before right wing Katelyn Faust went over in the corner. 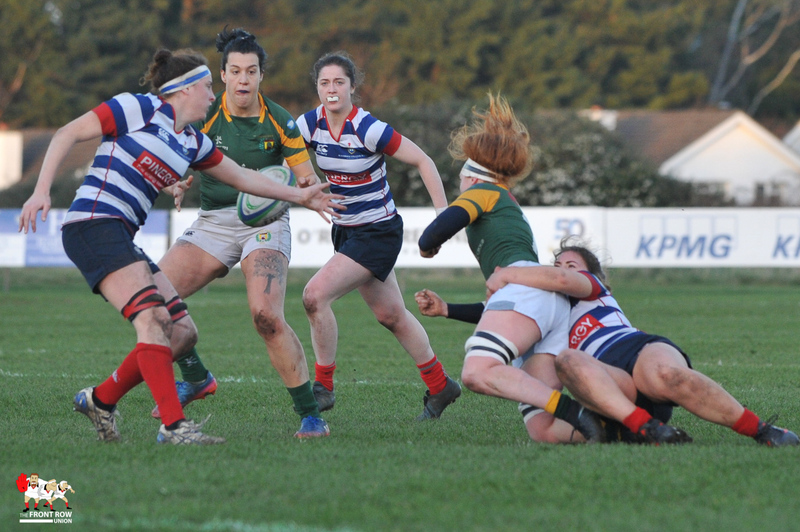 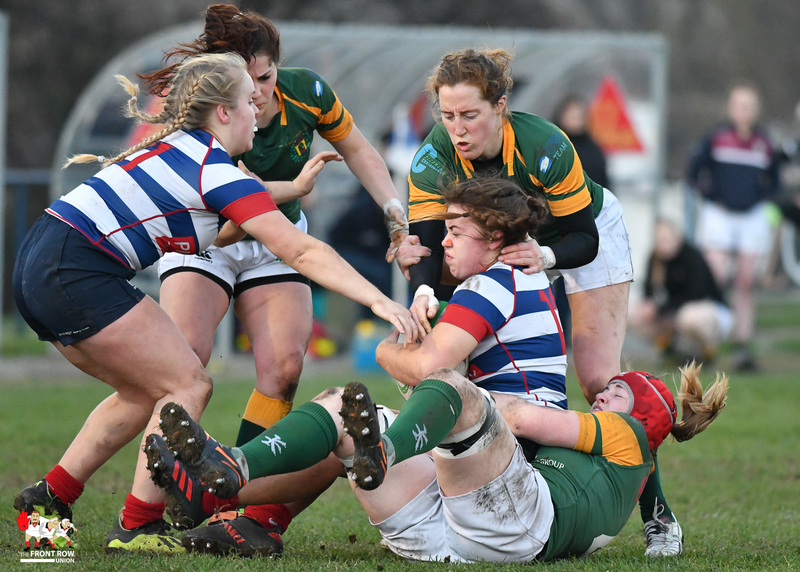 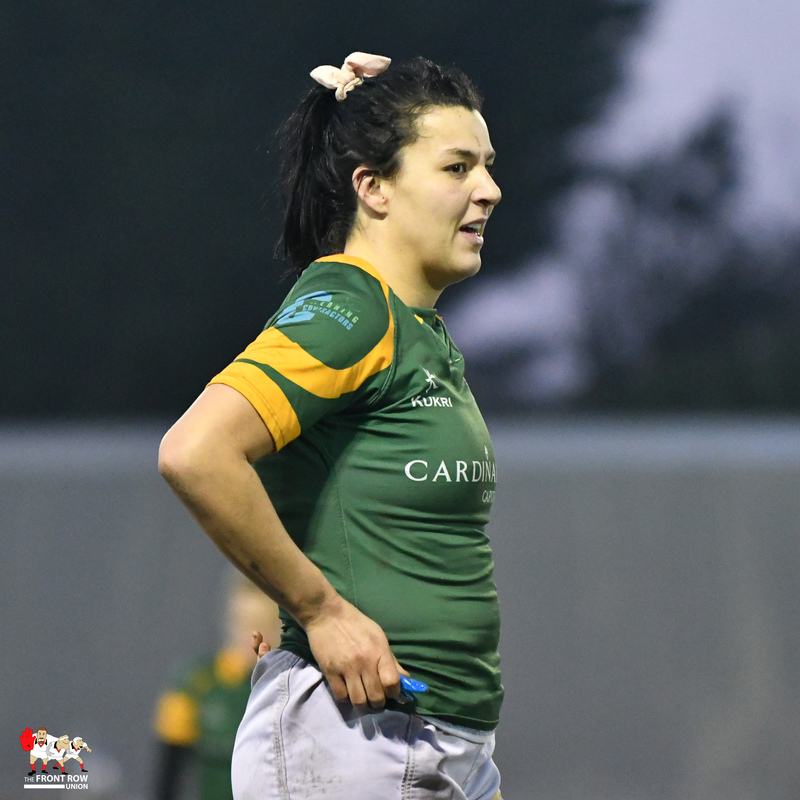 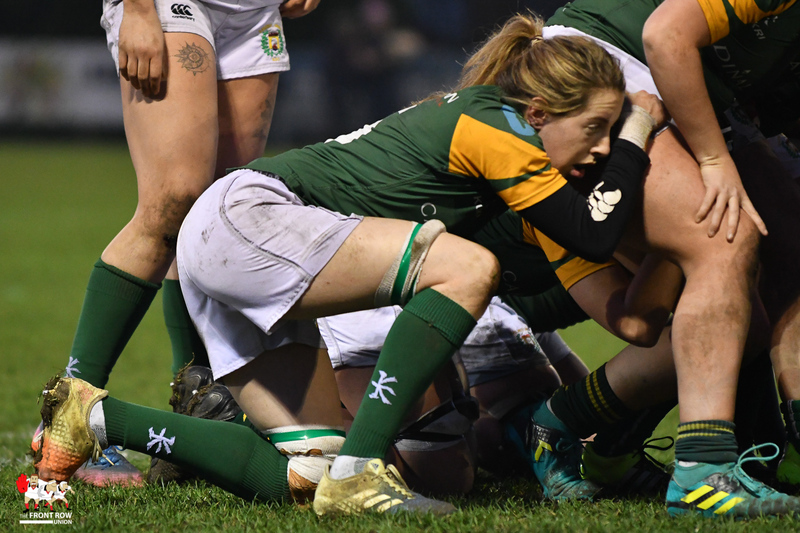 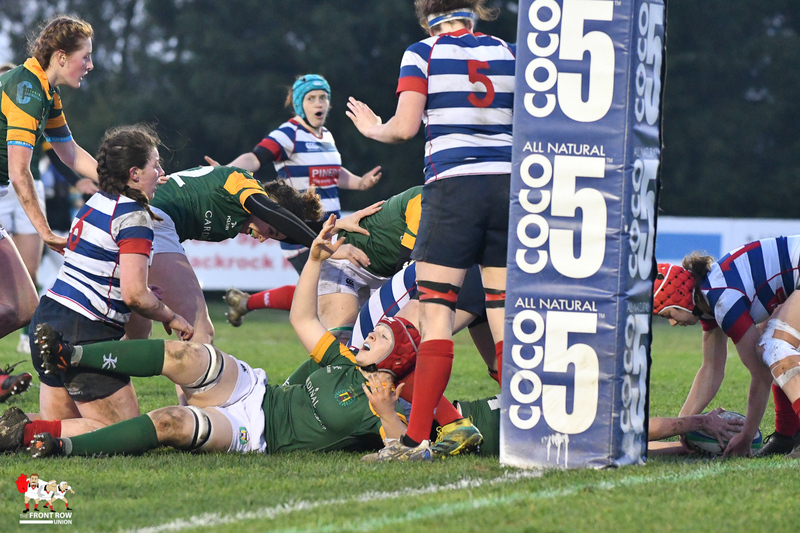 It was all hands to the pumps for the home side and they tackled themselves almost to a standstill before replacement Lisa Callan crossed for the visitor’s sixth try in the dying minutes. 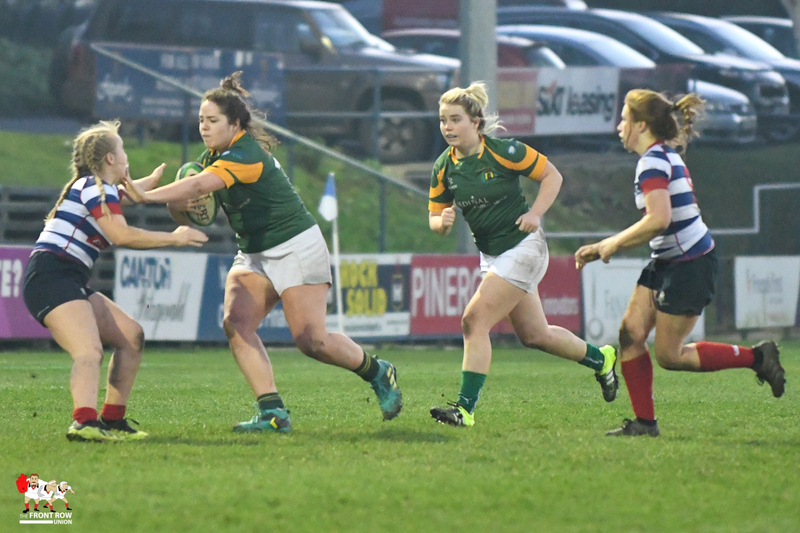 It was an impressive display of power and pace from Railway who made light of their challenging injury list with a five star performance on the day. 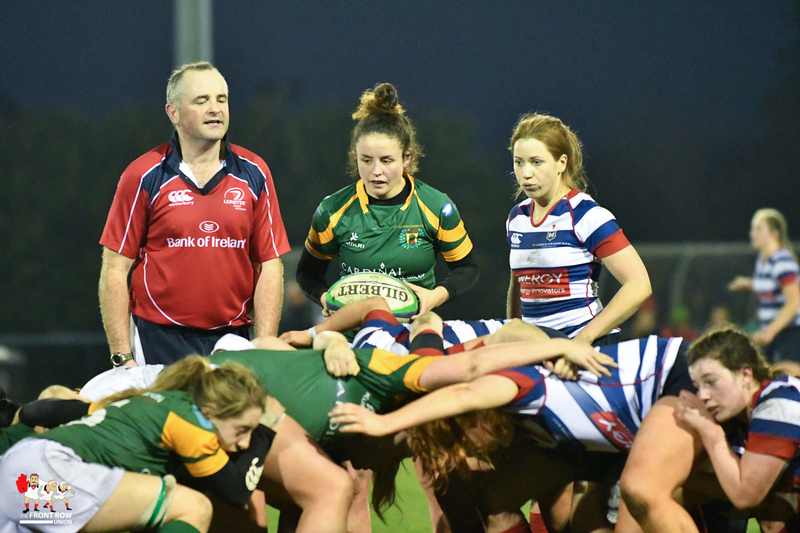 Report and pictures – John Crothers.